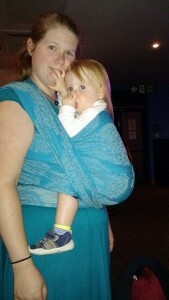 We recently had a Nona Imagine Blue Ice wrap visit us for testing. 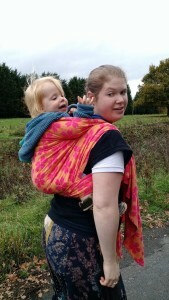 Nona are a new Dutch woven wrap brand started by two mothers who share a love of babywearing. 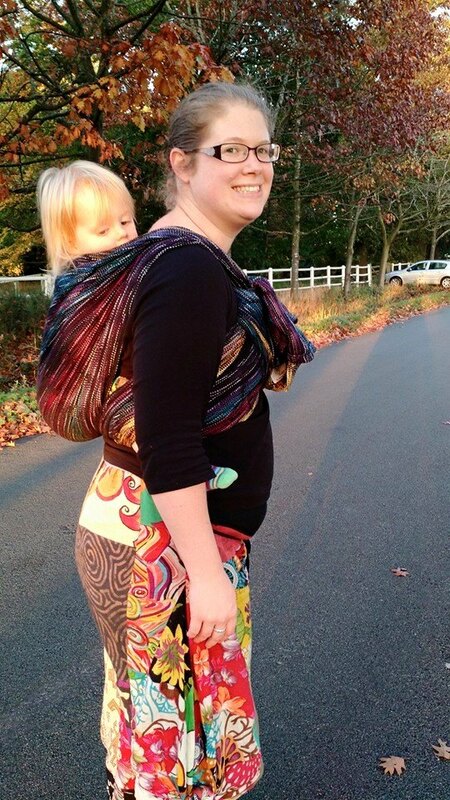 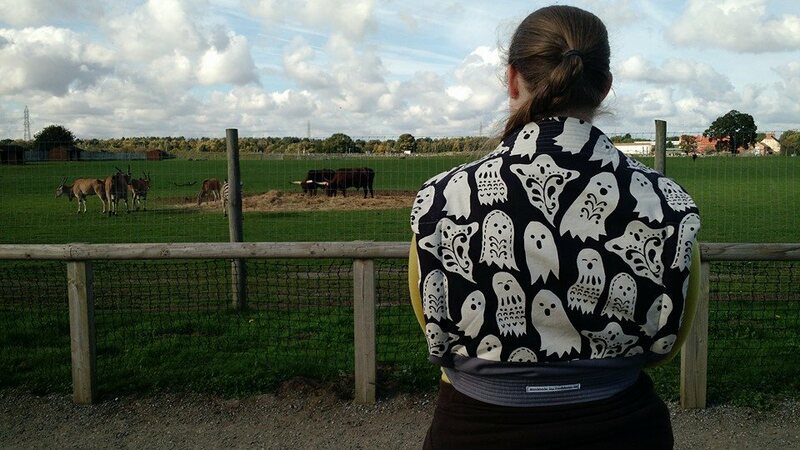 They aim to provide stylish and dependable wrap designs for every budget. 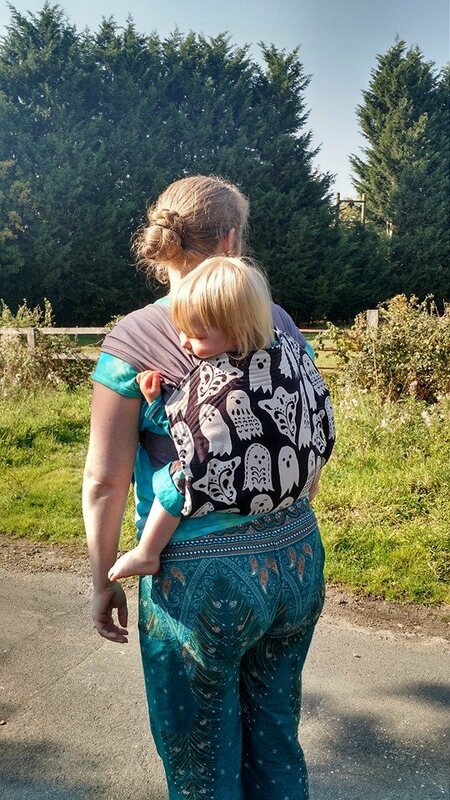 They have several designs currently released or coming soon and I think they all meet their aim for stylish designs, in fact they remind me of a much more expensive wrap company, with the simplicity and beauty of their designs. 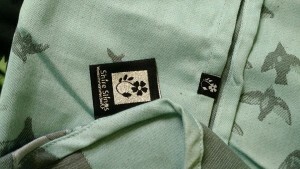 At £59 for a size 6, they are also more in budget for most people than many of the other companies available. 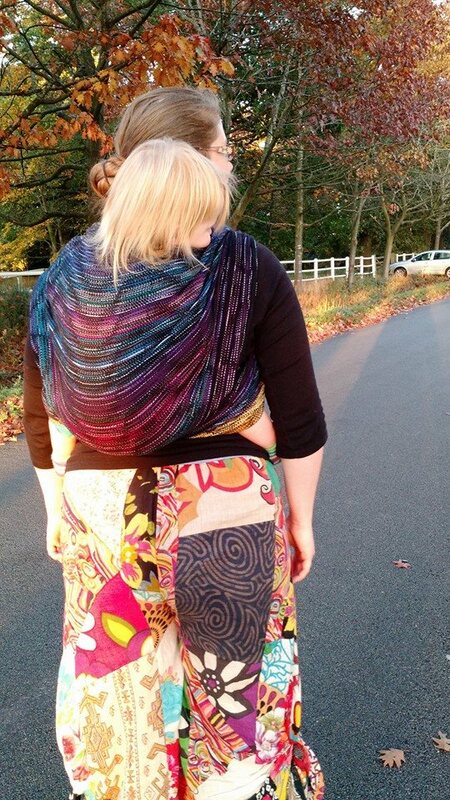 The first thing I noticed about this wrap was quite how long the tapers are! 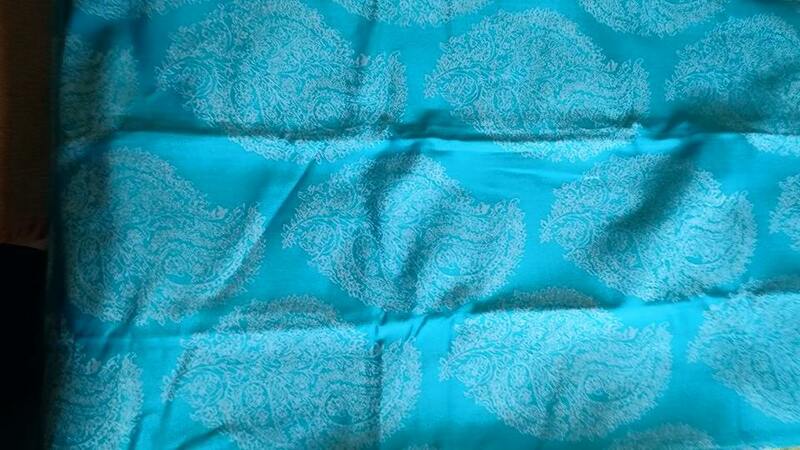 I measured them at 70cm, and having compared to several other brands, that is over twice the length of most in my collection, and three times the length of some. 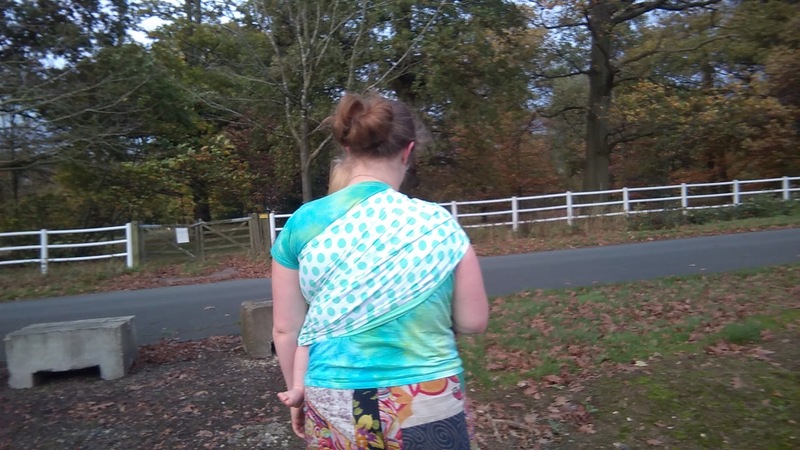 Taper length is a matter of personal choice, but when using the wrap I actually didn’t notice much of a difference from other wraps, although with a size 6 I didn’t do any carries that involved tying into the tapers. 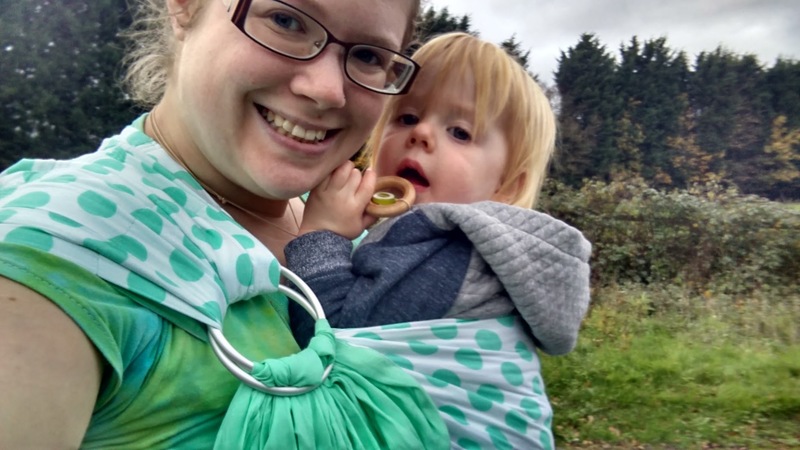 As far as wrapping with Imagine goes, I found it a really sturdy wrap and was plenty strong enough for 21 month old Reu, and would easily support a much larger child. 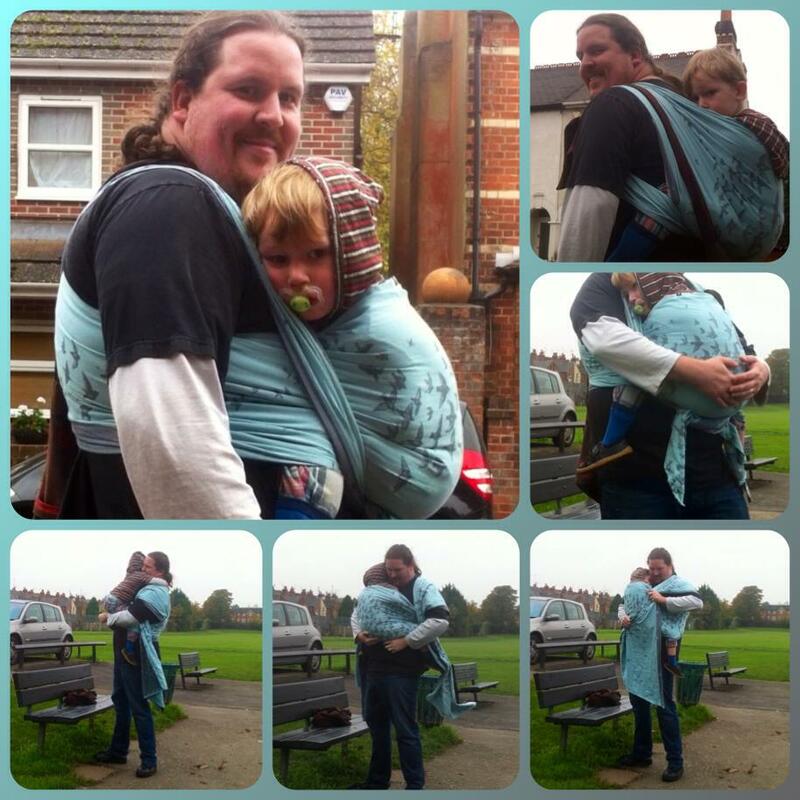 It’s not the softest wrap I’ve ever used, although I would expect it to soften further with more use, but it wasn’t stiff, so it was nice and easy to wrap with and held both front and back carries very securely. 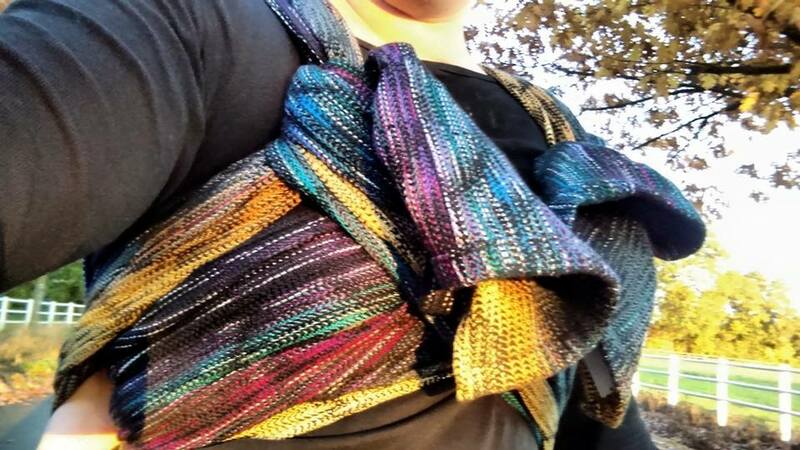 The texture to the wrap helps it hold knotless finishes well with no slipping. 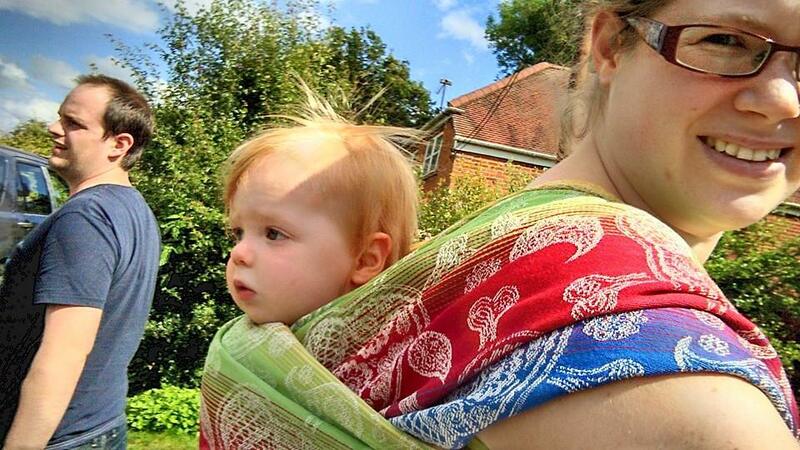 Overall, I think this a beautifully designed and good all round wrap. 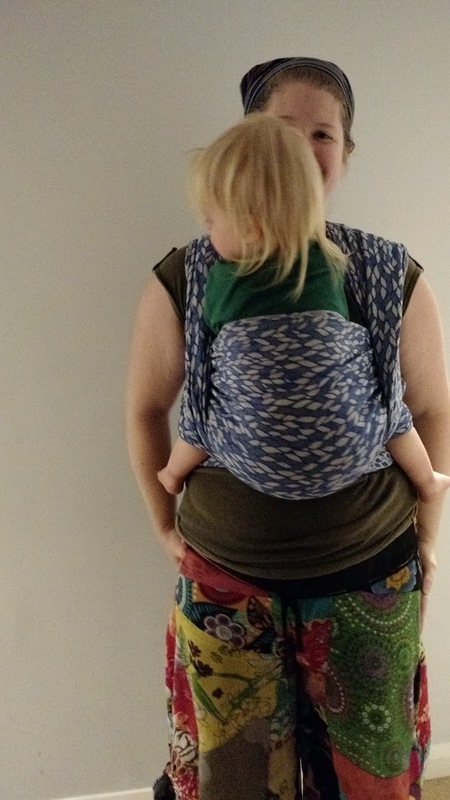 You could use it with any age child and it will certainly be supportive enough for several years worth of carrying as your child grows. 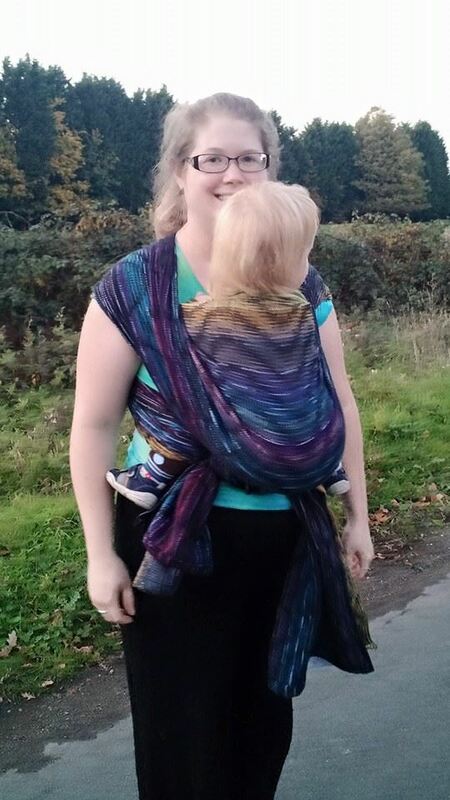 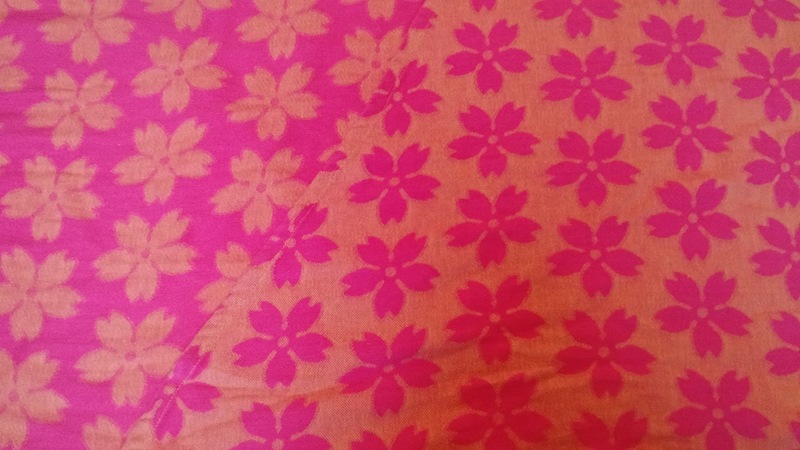 It would be nice if it were a bit softer but with a little bit more use it could be lovely, as this wrap was nearly new when it came to stay so it’s hard to judge. 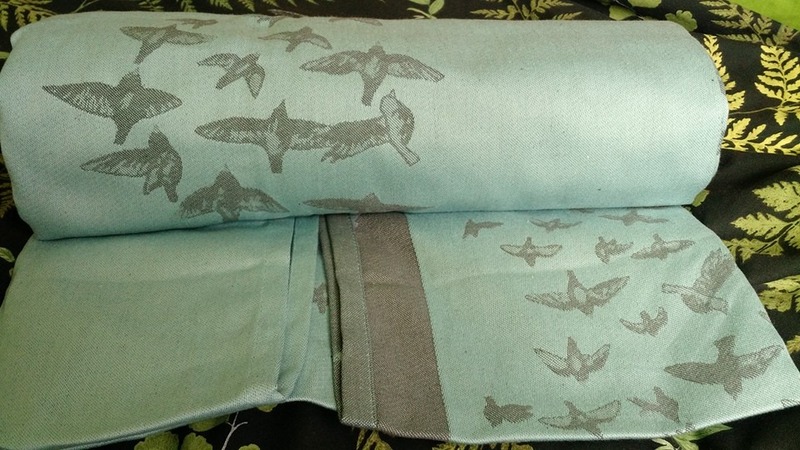 I think these are some of the most classically beautiful of the more affordable wraps that I have seen, they have the appearance of a high end wrap without the price tag and I look forward to seeing what other designs Nona comes up with and how their company develops. 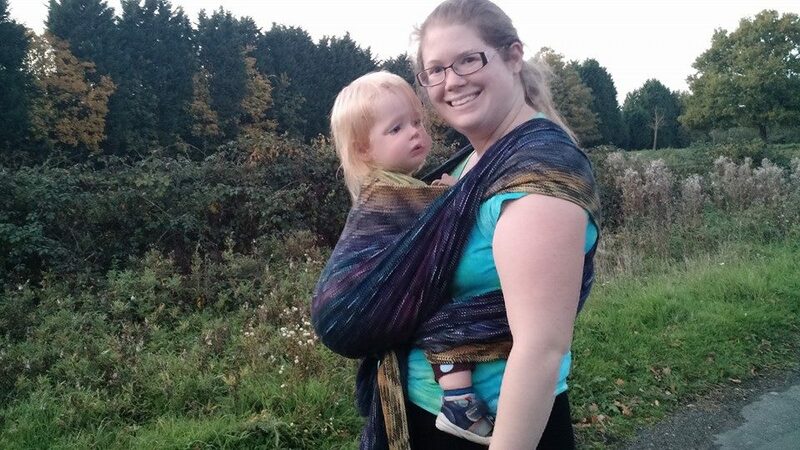 A little while ago we had a Diva Essenza Lago wrap here for testing (which was then given away on the Sling Sally Facebook page). 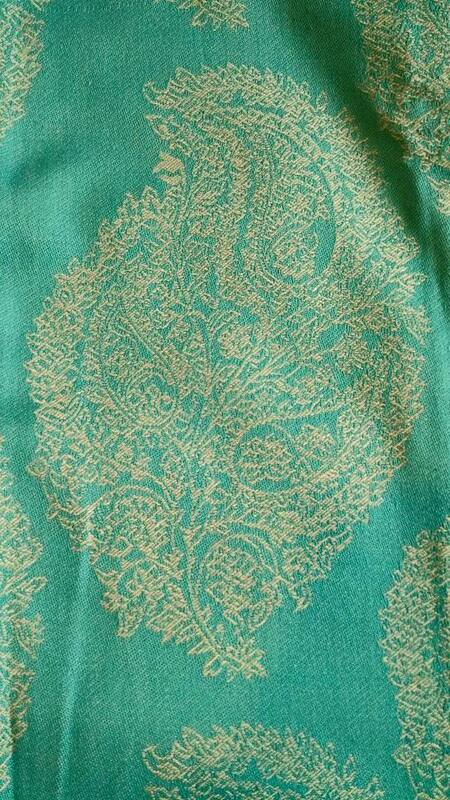 Diva Essenza is a sub brand of Diva Milano, with Essenza being of a lower price range than the standard Milano range. 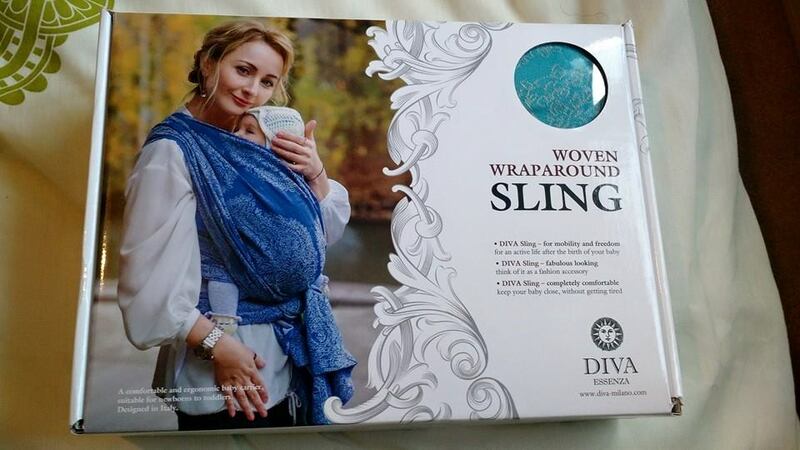 As you can probably tell from the company name, Diva Milano is an Italian company, and I feel that comes through in their designs as they tend to have a very classic and sophisticated look. 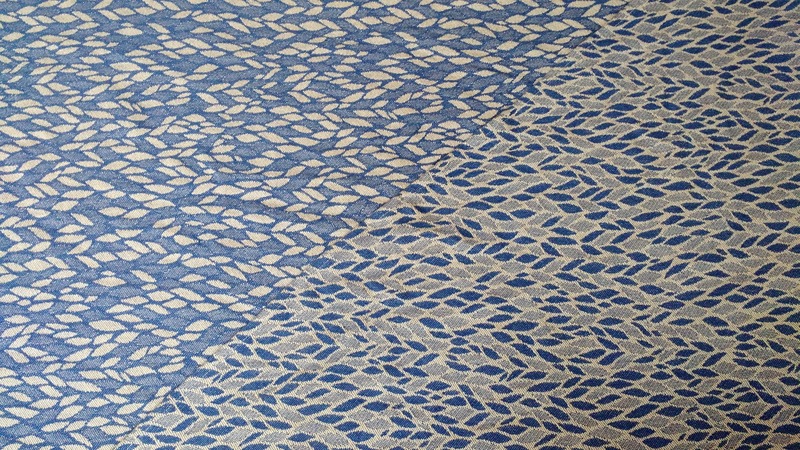 Lago is one of the 34 different colour and blend options available in this design, with linen and bamboo blends available as well as 100% cotton. 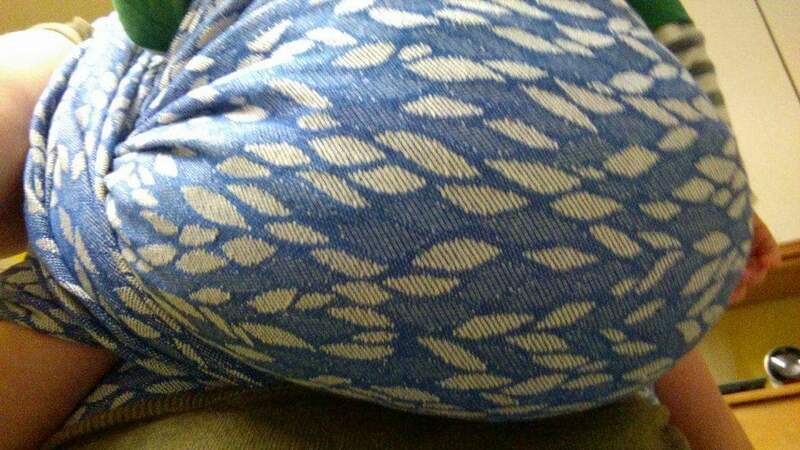 The design element has a textured raised nature to it, so and the opposite is true on the reverse to there is an obvious difference in feeling between each side. 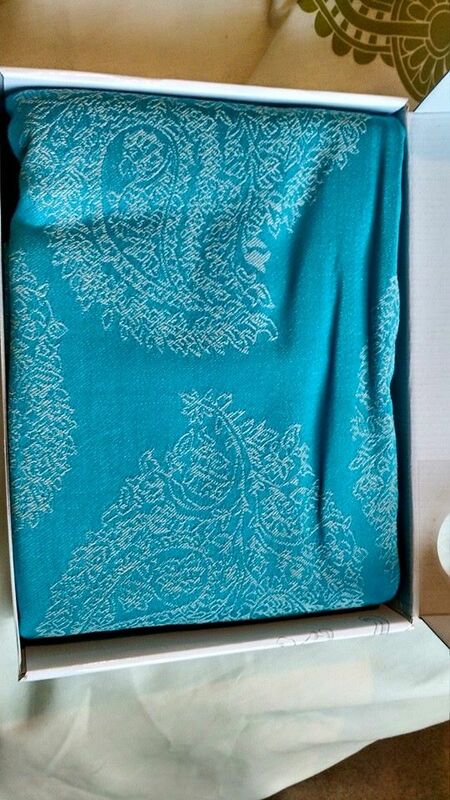 The wrap arrived in a nice box with pictures of different carries and a little viewing window so you could easily see the colour of the wrap within. 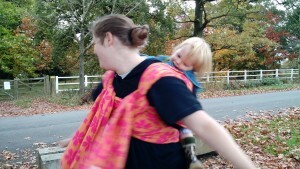 Over the time that we had Lago here we tested it with various front and back carries, and for various different occasions. 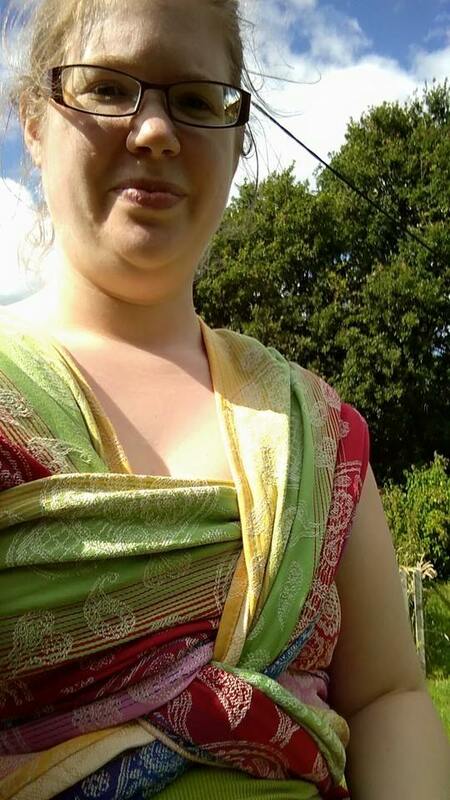 It was the natural wrap of choice for a fancy event we attended to celebrate my aunt and uncle’s 60th wedding anniversary, as it’s such a beautiful and subtle design, and the colour matched my dress perfectly. 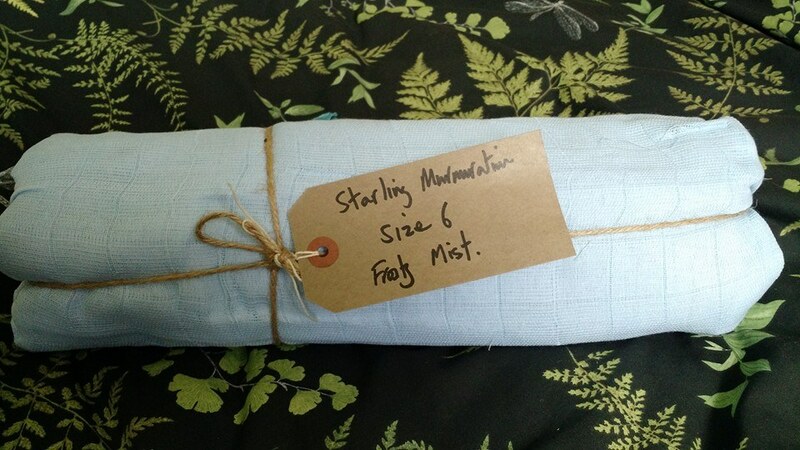 It was also the obvious choice when teaching a French/Italian friend to wrap! 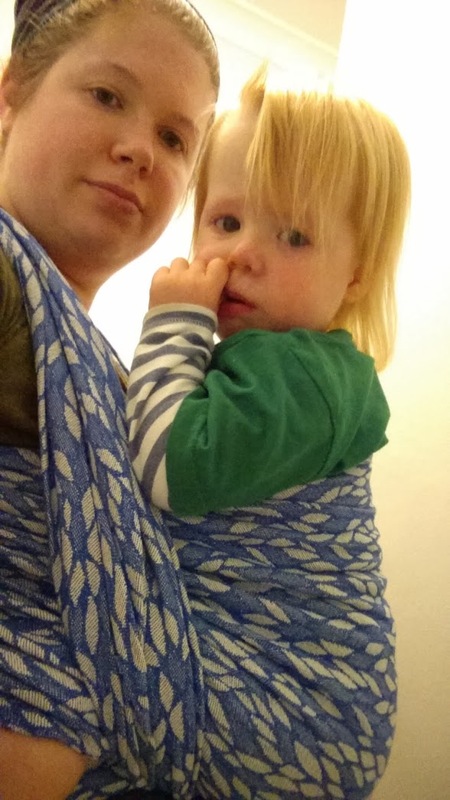 Straight from new it was easy to use and within a short time had become lovely and soft and floppy, while still being nice and supportive for toddler Reu (about 19 months at the time of testing). 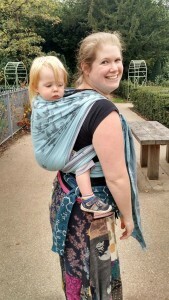 It’s certainly soft enough for a newborn and is a good middle ground weight to be thin enough to easily wrap round a small baby, while still having the thickness and strength to comfortably carry an active toddler. 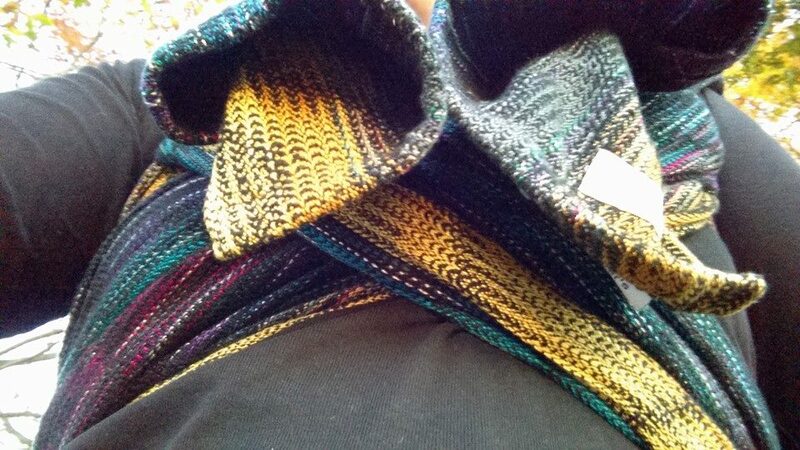 The grippiness provided by the textured ‘back’ side and design held knotless finishes well, although did provide a little more friction than I’d have liked when tying knots. 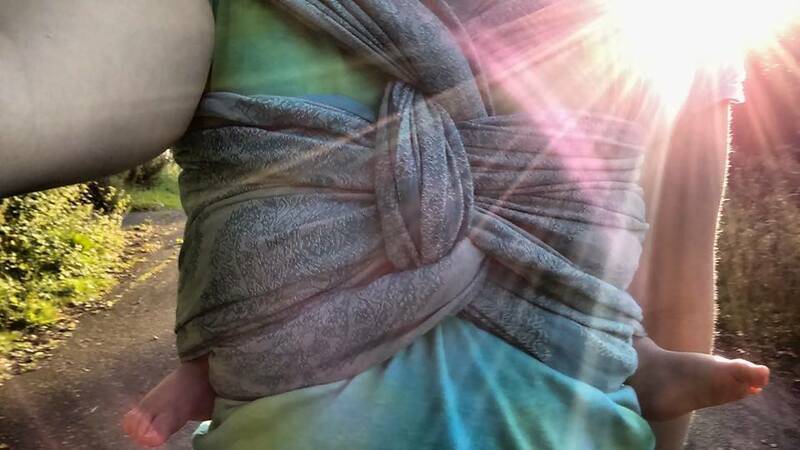 It didn’t however impede me when I was carrying out a double hammock with saltwater finish, which involves several spread and bunched passes close together, so the grippiness is not too much. 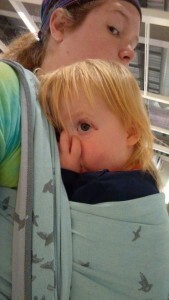 Overall, I really liked Lago. 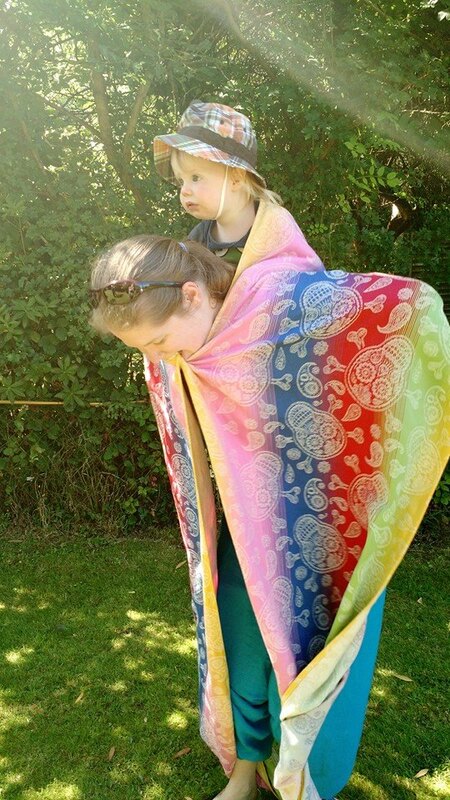 The design would go with any outfit or occasion, and with the amount of colours on offer there’s bound to be at least one you like. 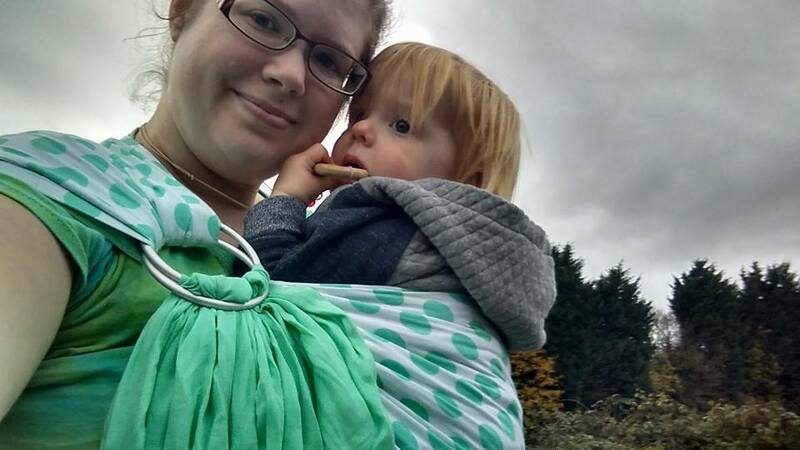 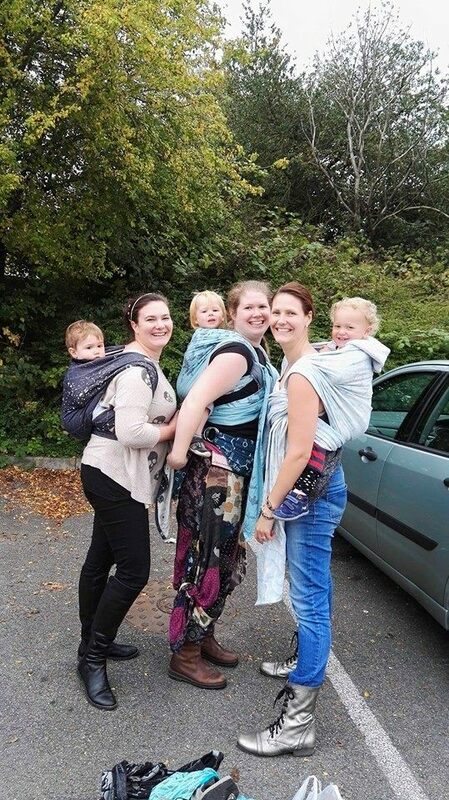 If you can only have one wrap but want something that would work just as well on the school run as at a wedding, and that can take you from newborn to toddler, then this could be the wrap for you. 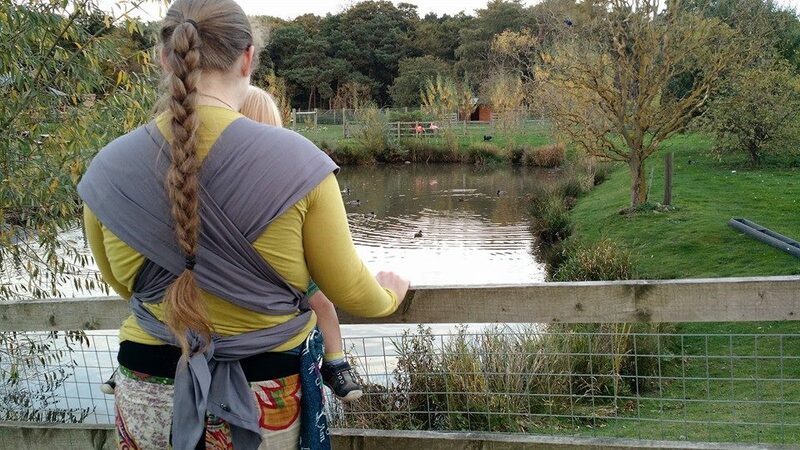 When Starling murmuration arrived the first thing that really impressed me was the improvements Shire Slings have made in their finishing process. 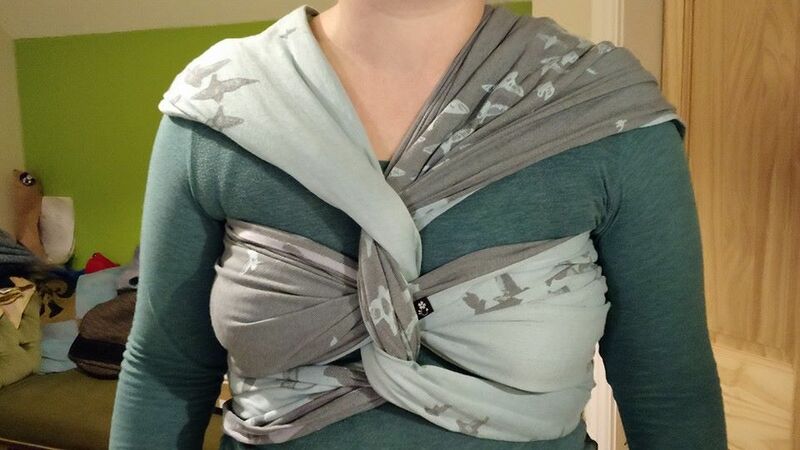 I had previously bought brand new one of their original Love Geek wraps, and at the time they got a bit of a reputation for being quite stiff and taking quite a lot of breaking in. 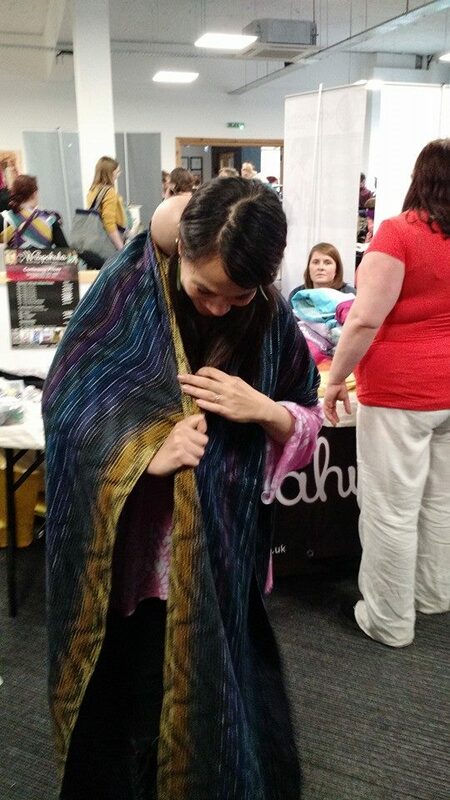 The Love Geek I bought was certainly stiff, although I sent it off for conversion immediately so can’t really comment on how long they take to break in as wraps, although my wrap conversion mei tai has certainly softened considerably in the last year or so. 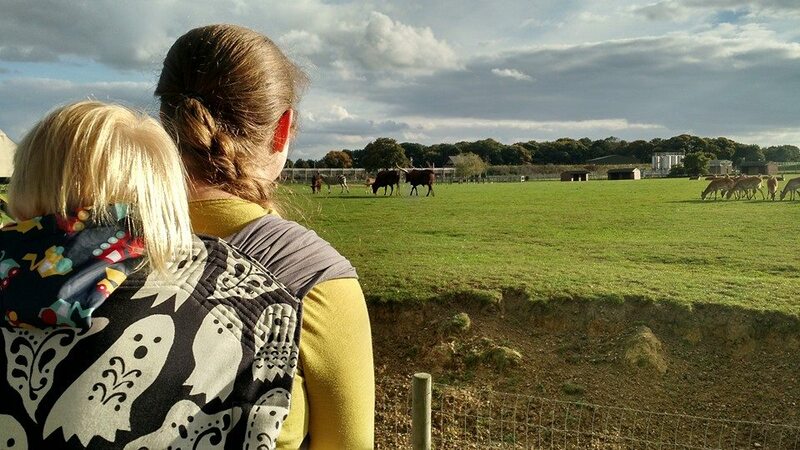 Since then Shire Slings have been working on the finishing processes that wraps go through after weaving, to make their wraps much softer straight away, without losing anything from their hard wearing and pull resistant weave. 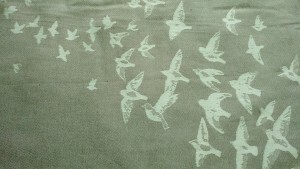 And I would certainly say they’ve managed it with Starling Murmuration. 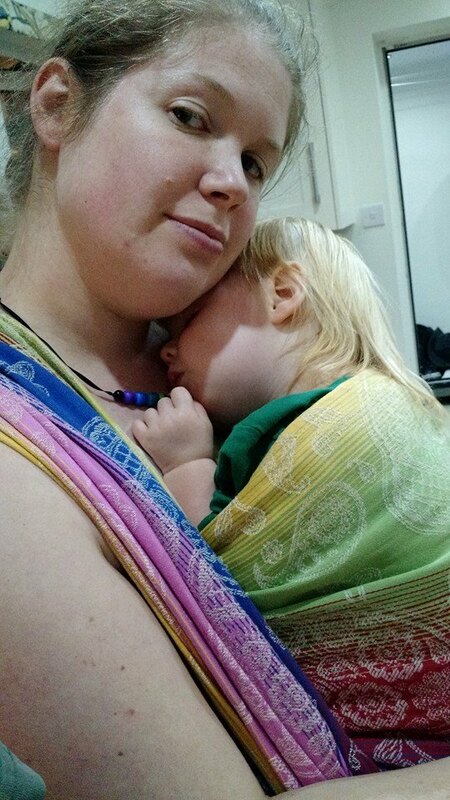 The wrap arrived already soft and floppy, wrapped in a coordinating coloured muslin, and paper parcel. 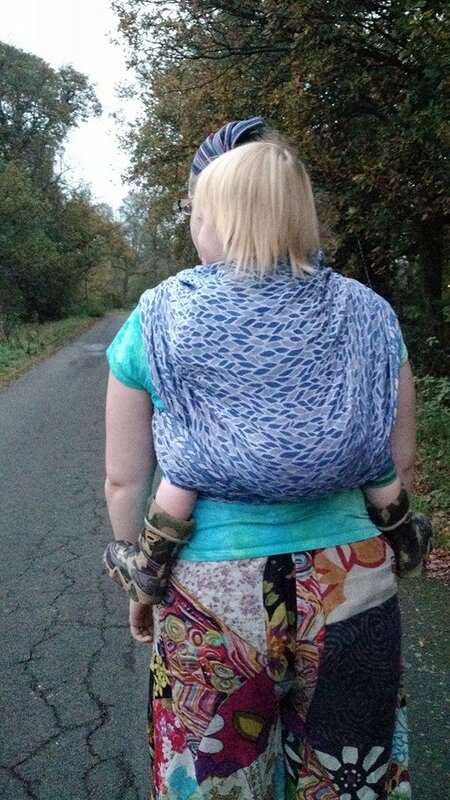 Even before its first use it felt really nice and had a beautiful sheen to the ‘right’ side of the wrap, while the ‘back’ is more textured for grip. 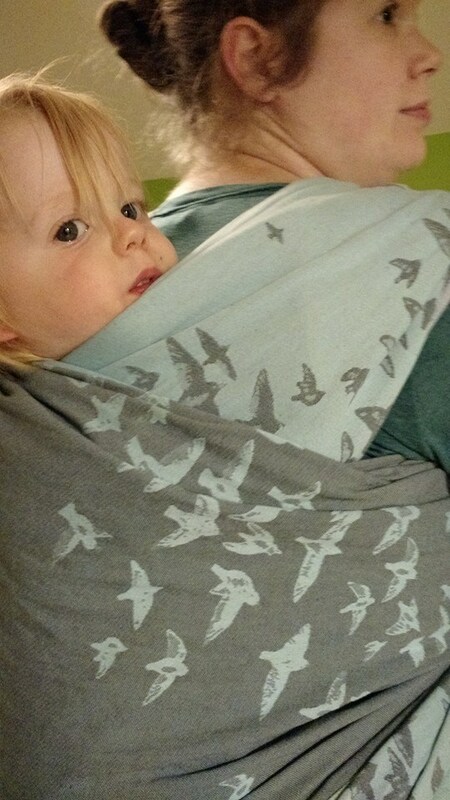 We were on holiday in Yorkshire (for The Northern Sling Exhibition), during our testing time and were lucky enough to see the starlings flying together in a stunning coordinated display, and this wrap design is equally beautiful with lots of detail on the birds. 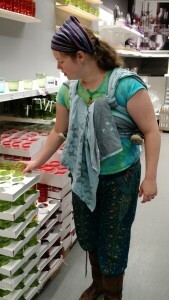 I also admired Shire Slings new sparkly labels! 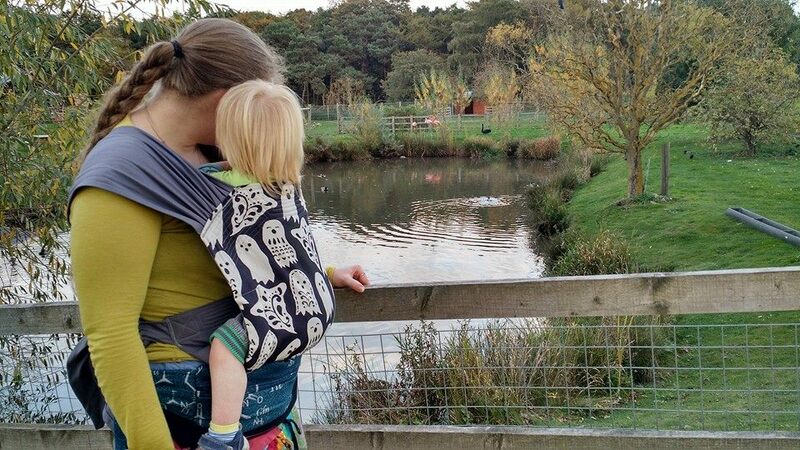 We used starling murmuration over several weeks before passing it on to SlingDad Dom for him to test out prior to giveaway on the Sling Sally Facebook page. 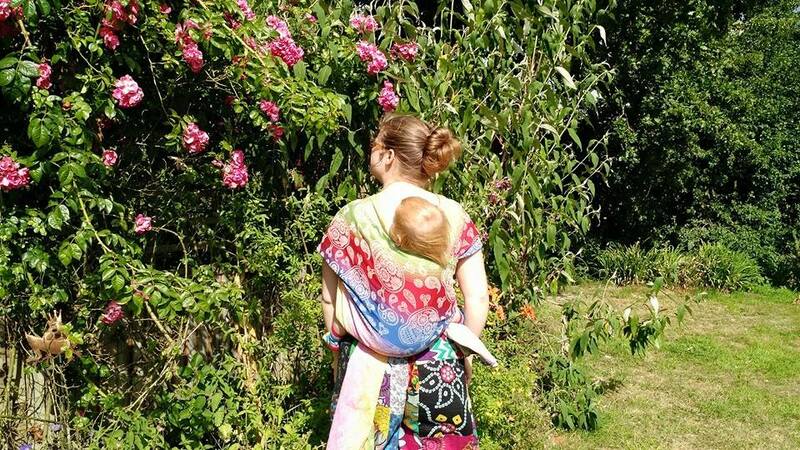 It further softened during the time we had it, even though it was really nice to use straight from new and would be lovely and soft for a newborn as well as being super strong for older children. 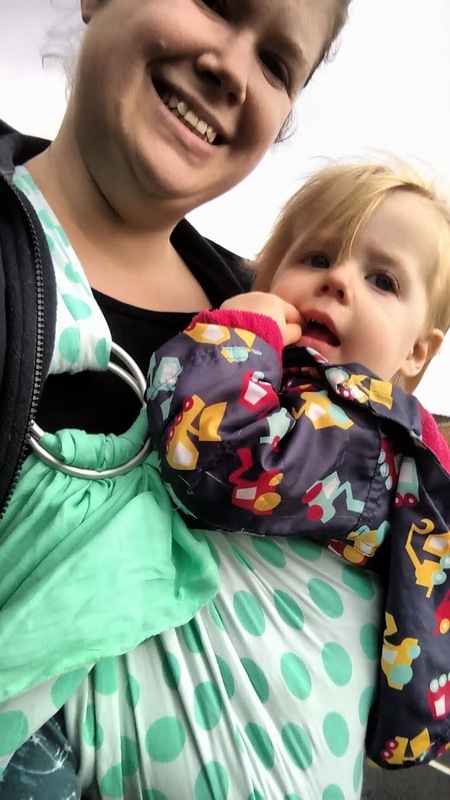 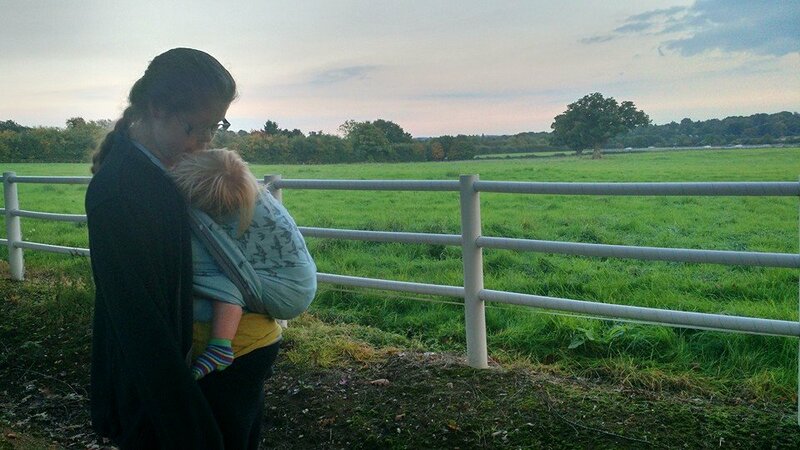 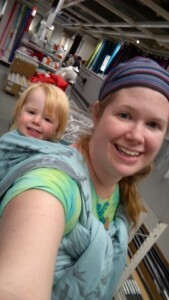 We (21 month old Reu and I), used it for a variety of front and back carries during this time, and took it for walks, around Ikea, for lunch with friends, at the sling library and for sleepy cuddles at home. 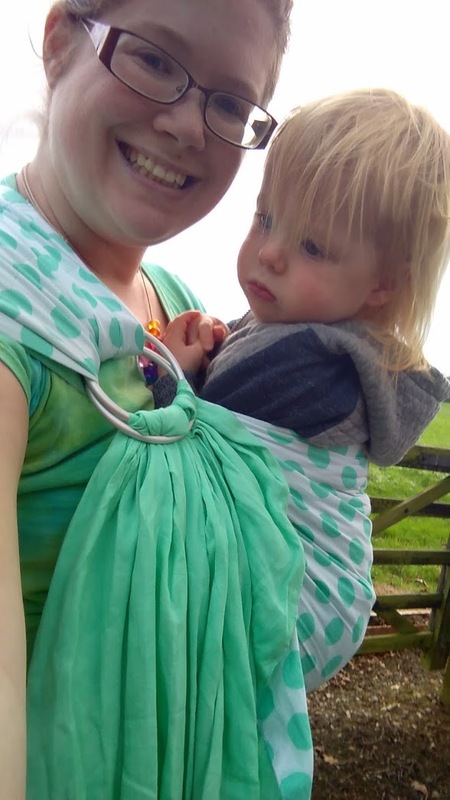 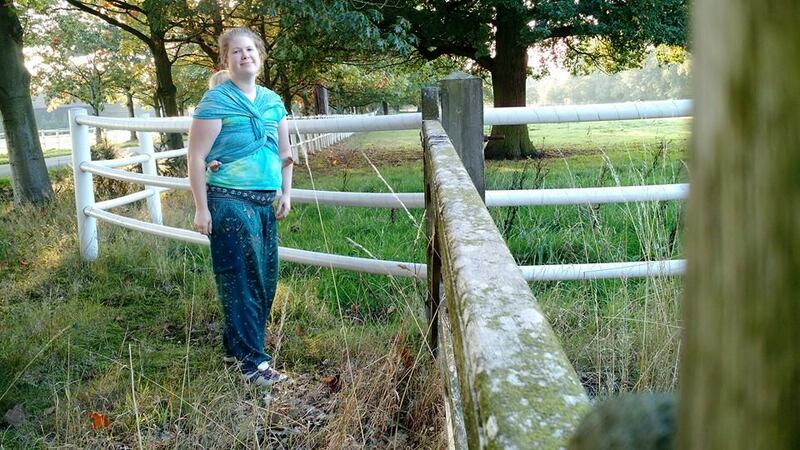 I’ve now tried a few Shire Slings wraps and I really like their quite dense weave structure, and it’s a definite bonus that it’s not prone to pulls – in fact I think you’d have to actively try to pull it! 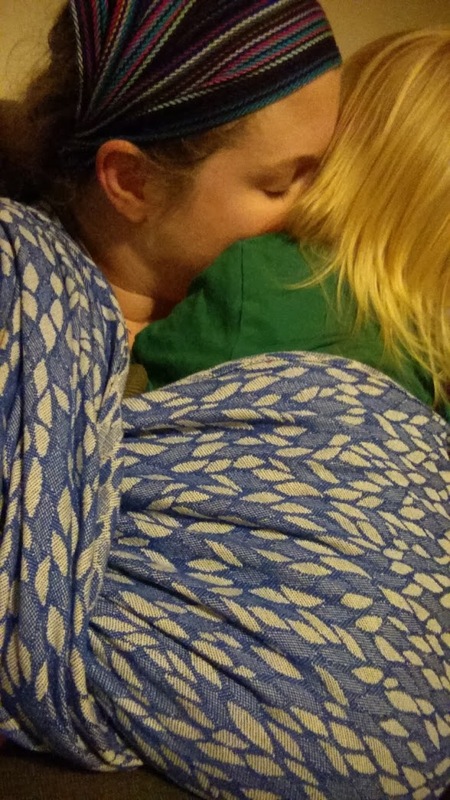 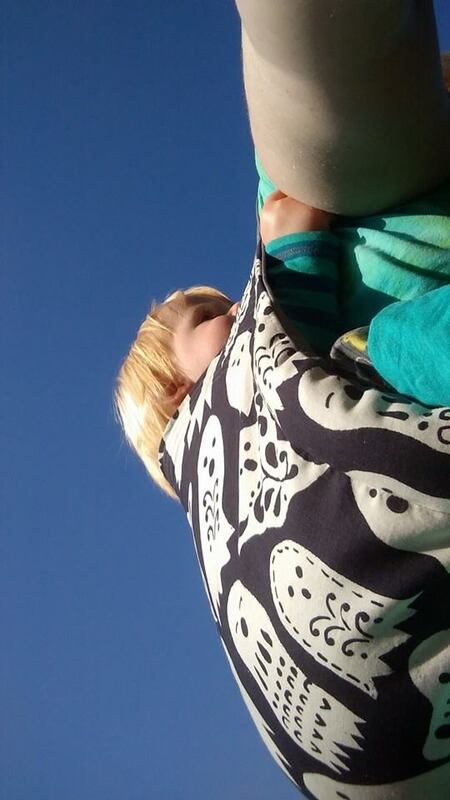 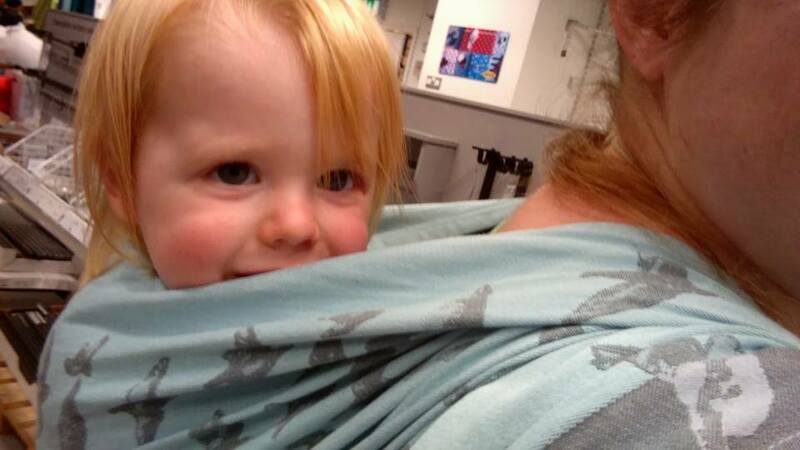 I found starlings really supportive and sturdy for toddler Reu, but without being at all diggy, which I find can sometimes happen on the shoulders when carrying a larger child. 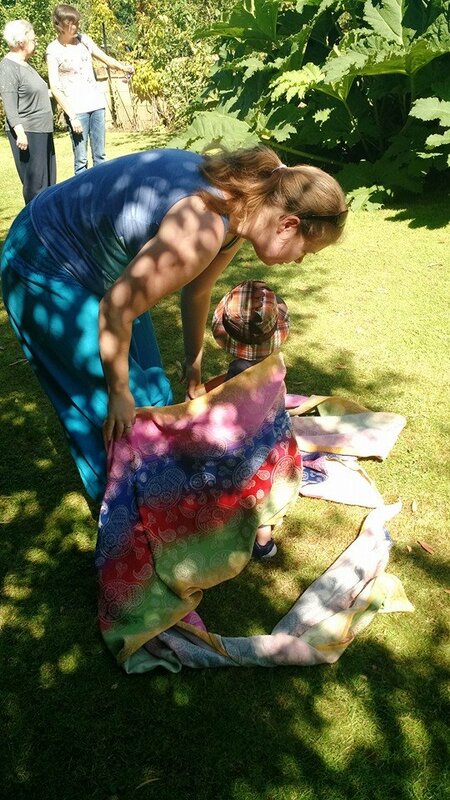 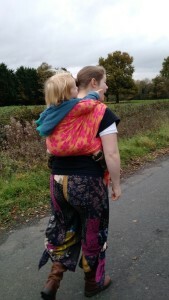 It was easy to wrap with and formed itself nicely around us in both single and multi layered carries, and the second layers had a nice level of grippiness – not too much when making a second pass, but enough to hold the carry without slipping. 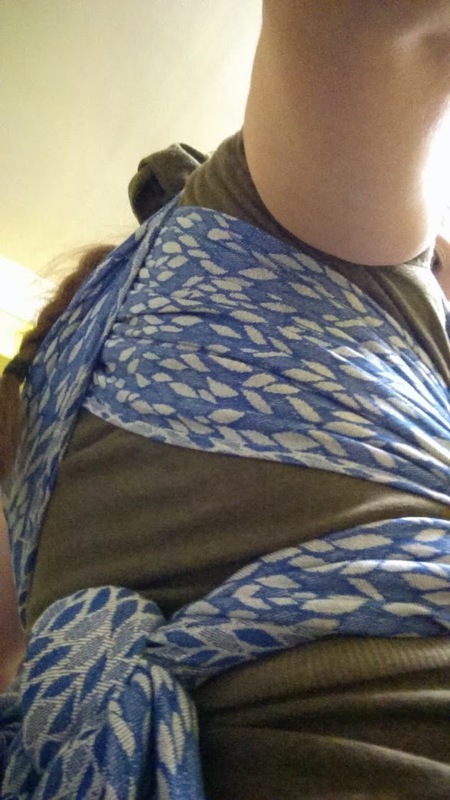 We tried a double hammock with a centrally flipped chest pass and saltwater finish, to try and show both sides of the wrap and found it really comfortable as well as rather attractive. 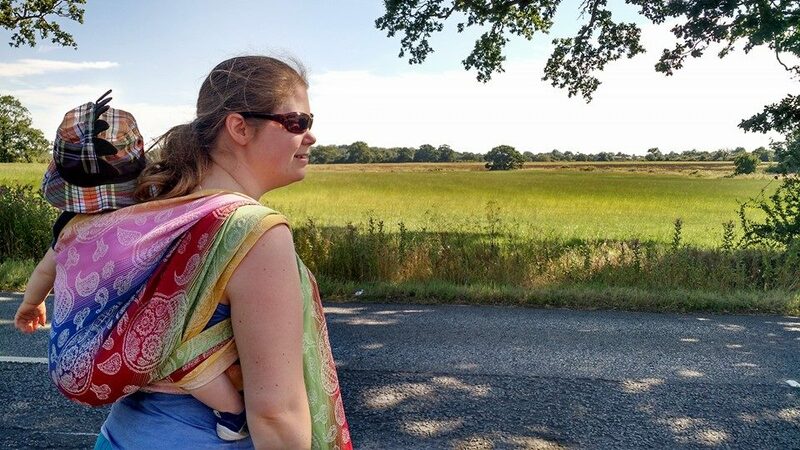 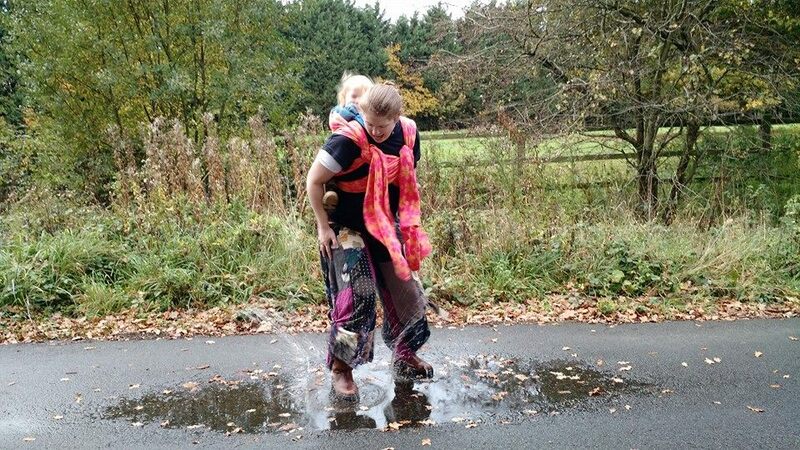 My favourite back carry is a ruck finished knotless tibetan so we tested starlings with this knotless finish on many occasions and it always held well, with no slipping at all, as well as being nice a supportive and comfortable. 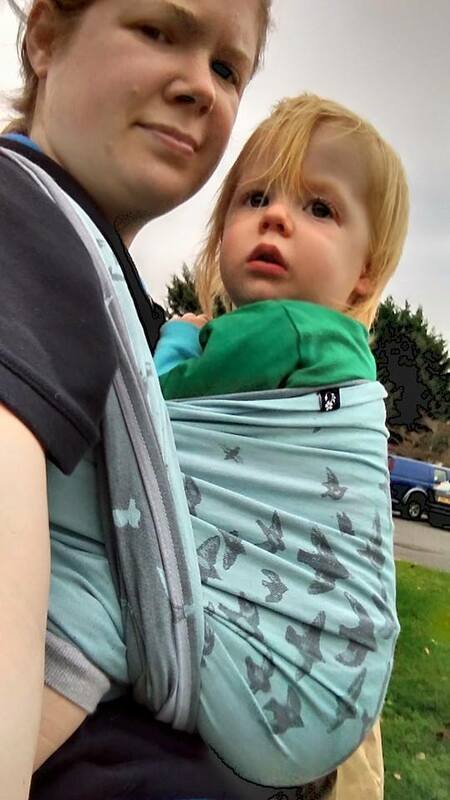 As Reu is getting bigger and heavier I find some wraps are starting to pull a little when I front carry him, but I didn’t have this problem with starlings, thanks I think to the sturdy weave structure holding and spreading the weight well for me. 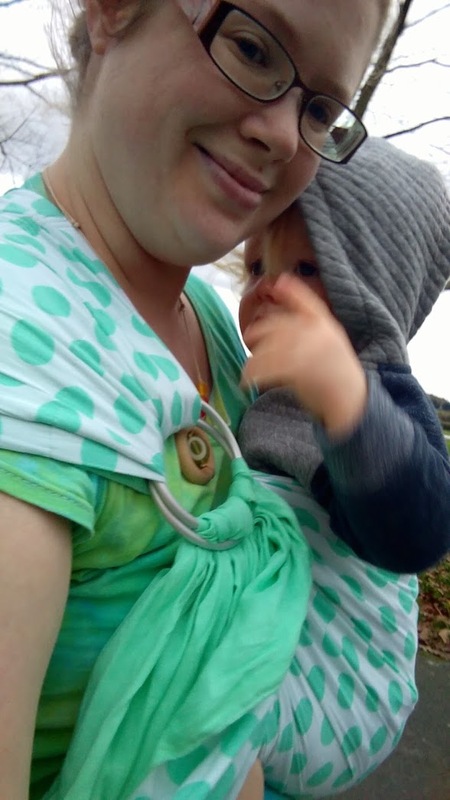 He also has a tendency to bounce up and down when on my front if he’s not sleepy and in a wrap with more give this finds every tiny bit of slack in my carry and pulls it to the front, leaving a not ideally tight front pocket which can then pull on me. 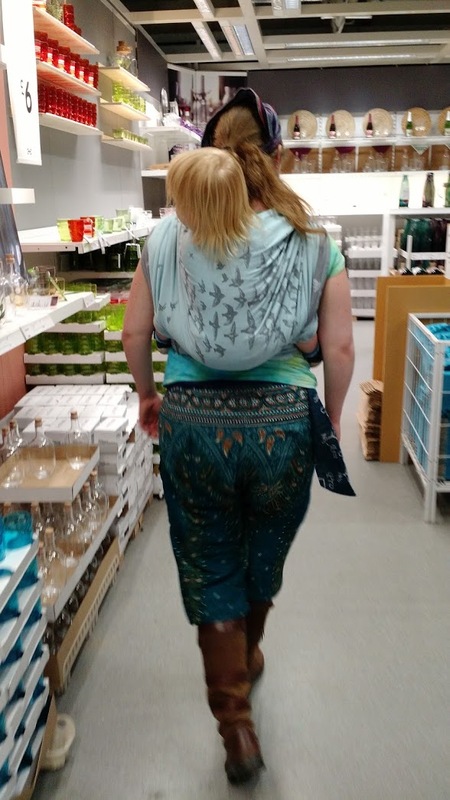 However with starlings the sturdiness of the weave meant that despite his best bouncing efforts during a rather stressful shopping trip (does anyone enjoy shopping in the lots of little breakables section of Ikea with a toddler?! 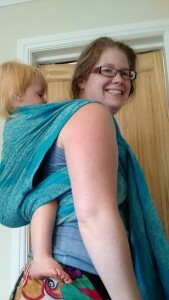 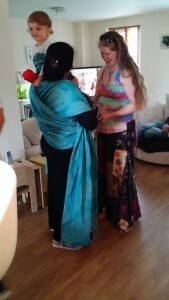 ), the wrap held up well, and none of the stress came from the wrap! 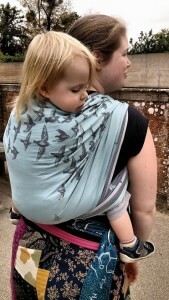 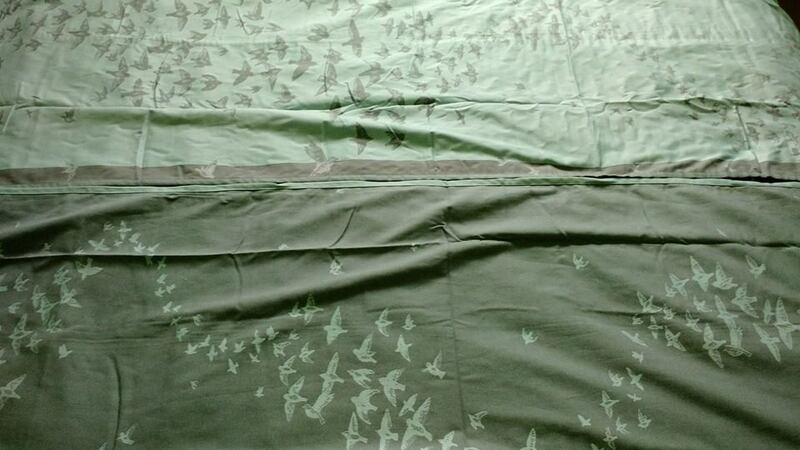 Overall, starling murmuration has been a lovely wrap to use. 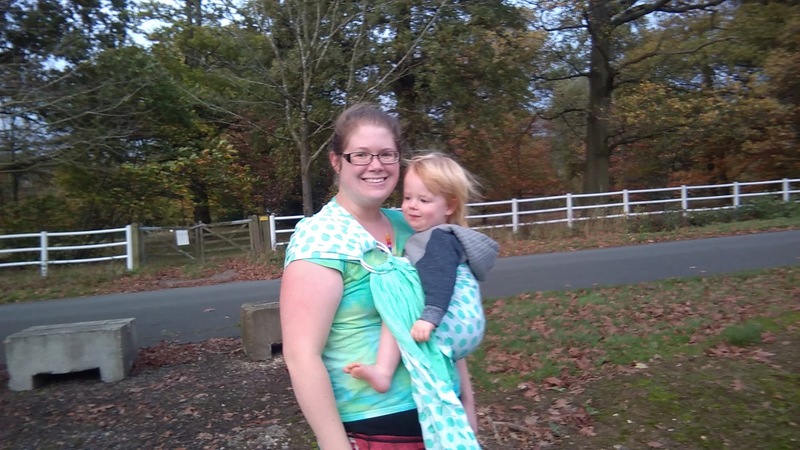 The improvements that Shire Slings have made in their finishing processes are very noticeable, and you could now buy one of their slings and enjoy using it straight from new. 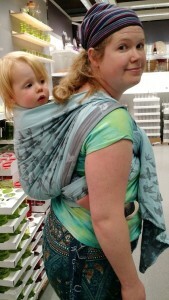 The design is really beautiful and works equally well using either side out. 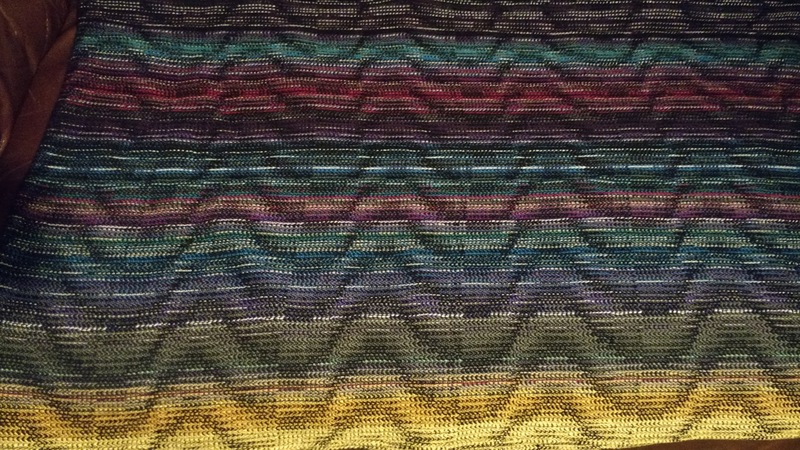 The shimmery softness to the ‘right’ side is really lovely, and I’m sure it will continue to soften even further and become super soft, as well loved earlier edition Shire’s that I’ve touched have become. 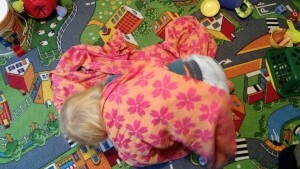 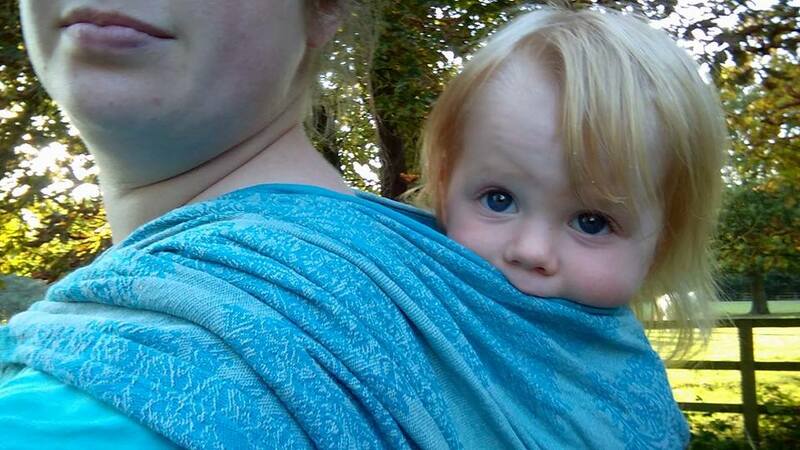 It’s a good all round wrap for babies and children of any age and for wearers of either gender. 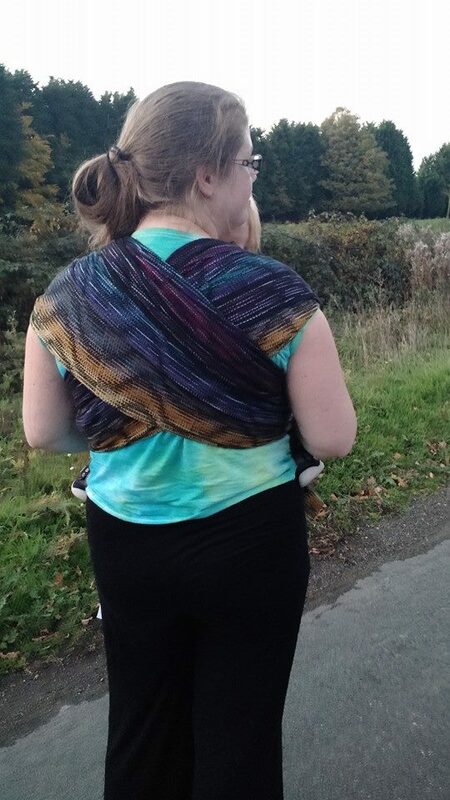 The resistance to pulls is a great benefit as I have some wraps which are really beautiful but their penchant for pulling puts me off using them. 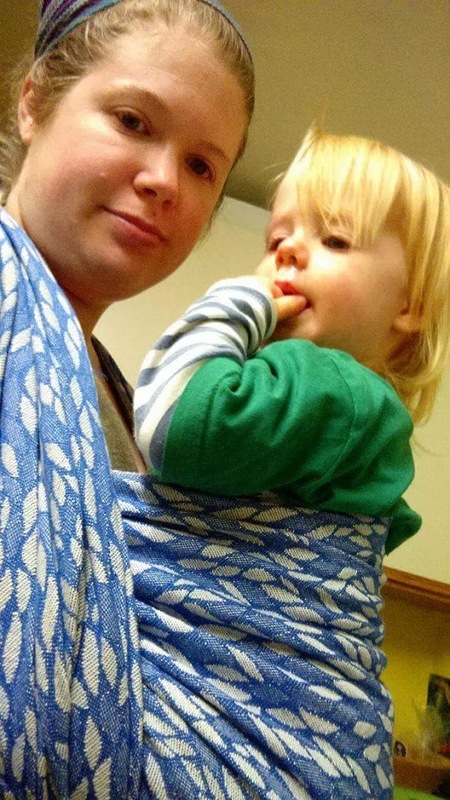 With this wrap you can have a great hard working wrap, that you can take anywhere without fear of rings, nails or sharp objects! 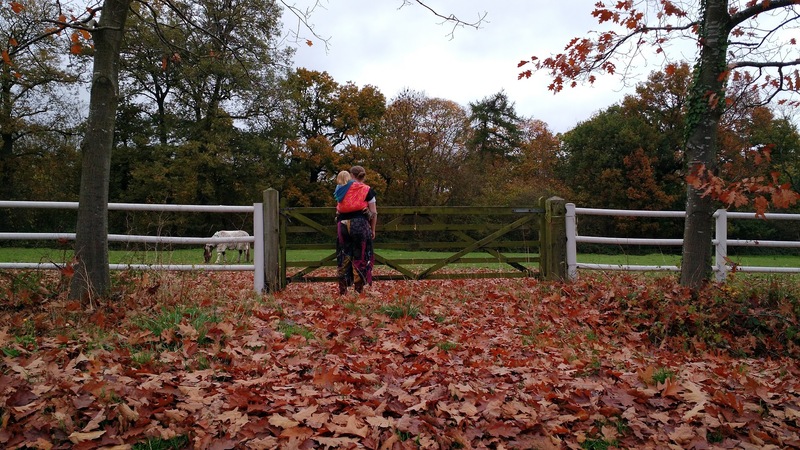 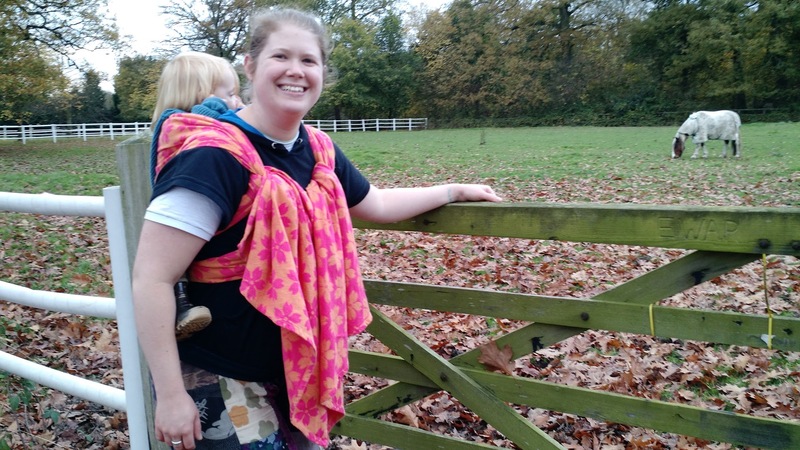 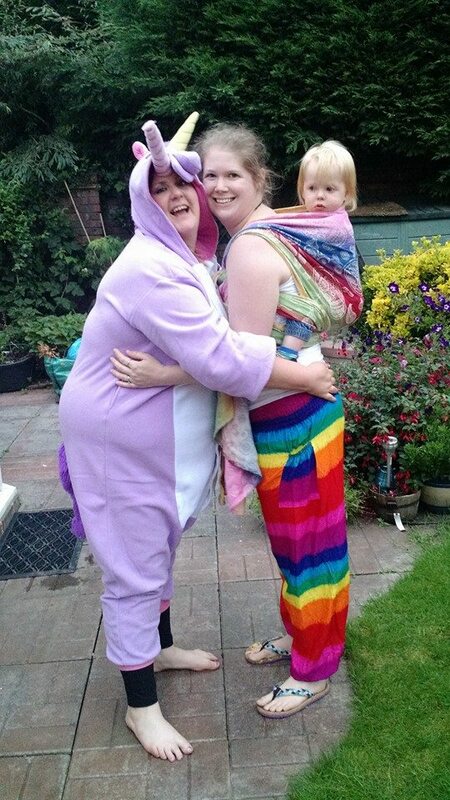 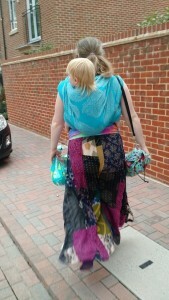 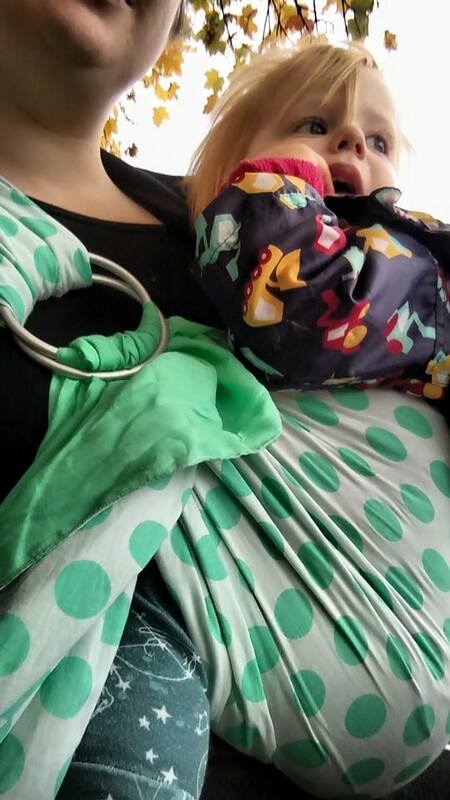 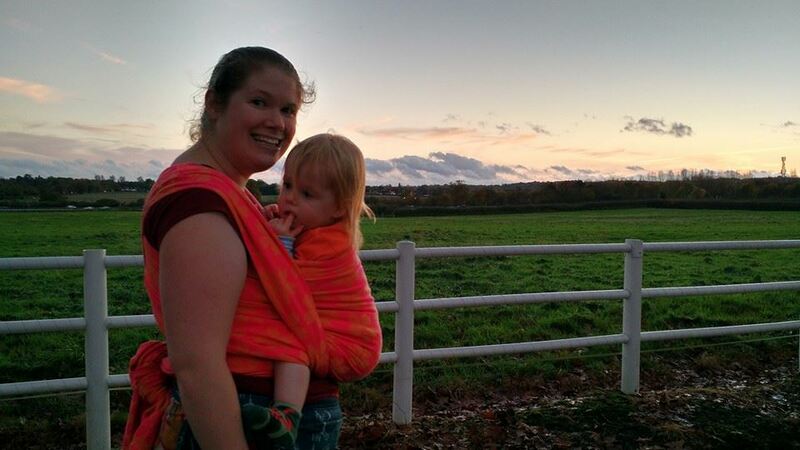 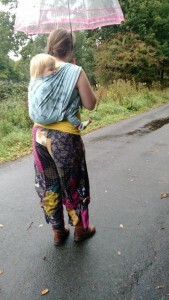 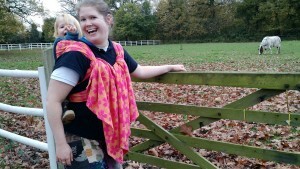 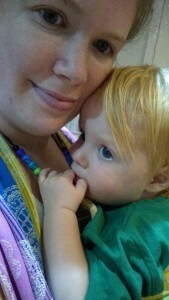 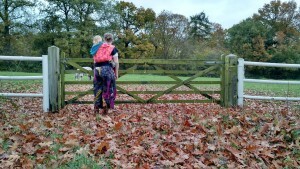 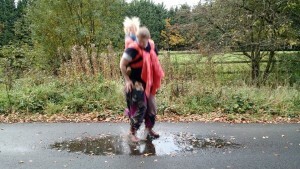 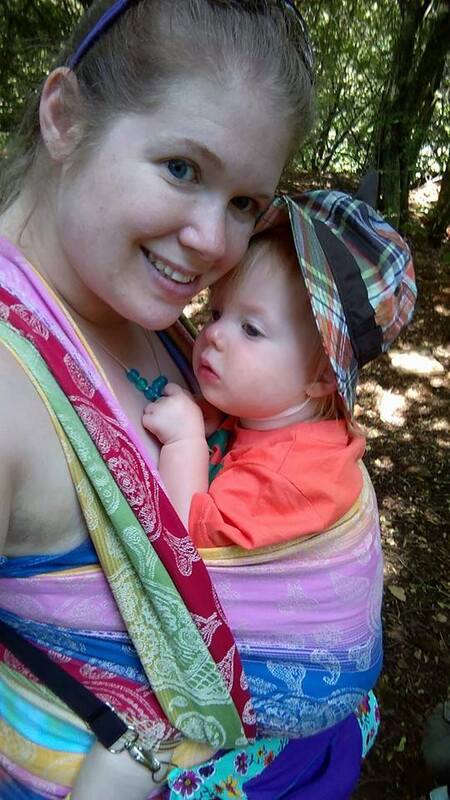 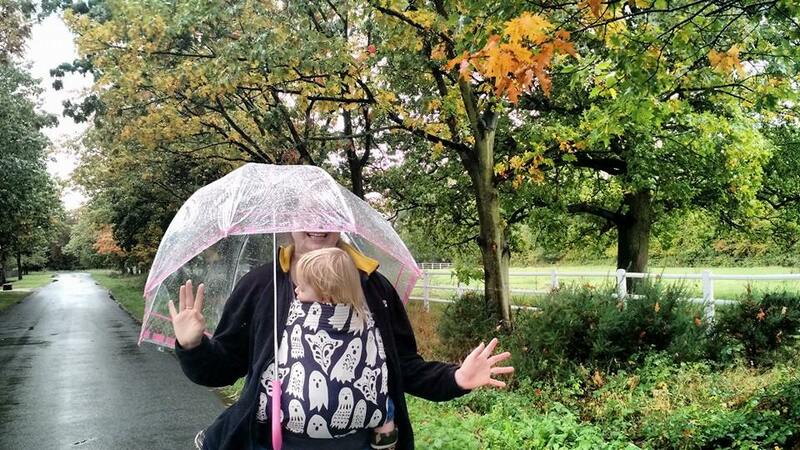 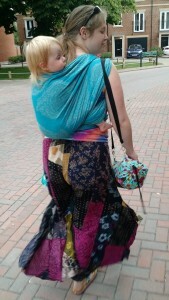 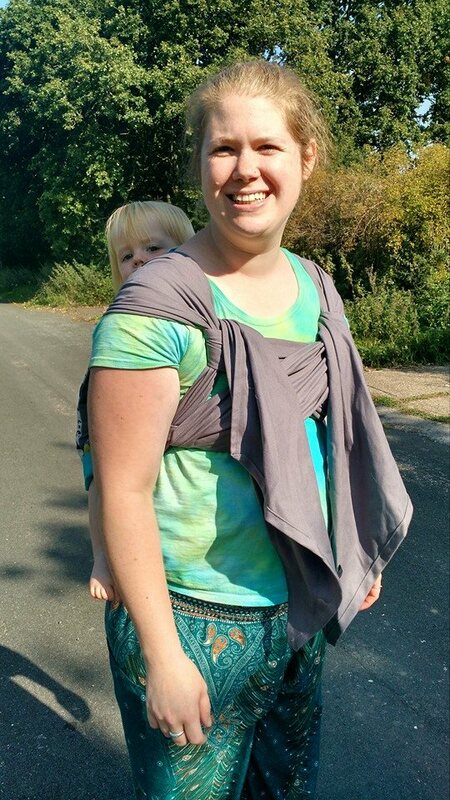 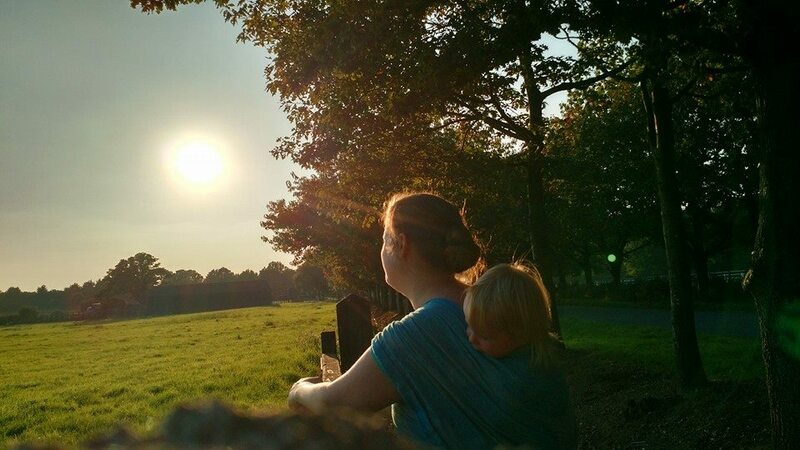 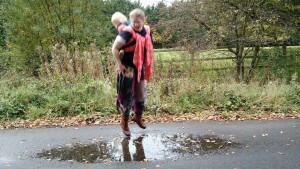 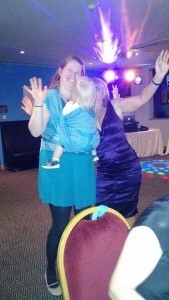 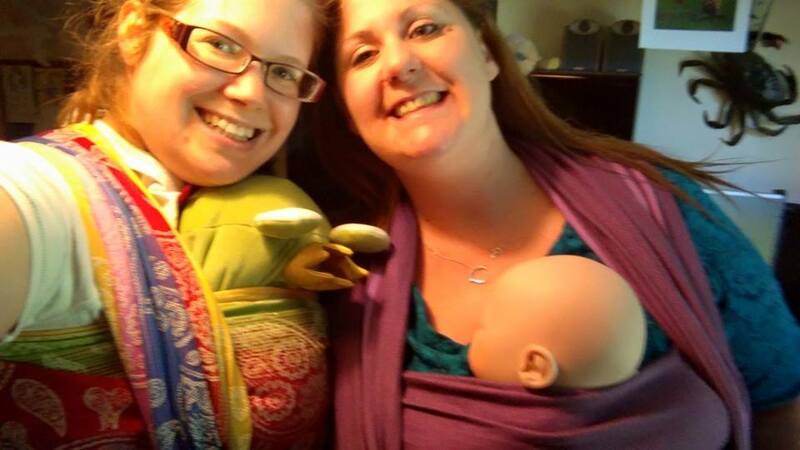 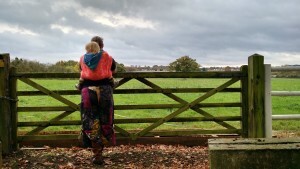 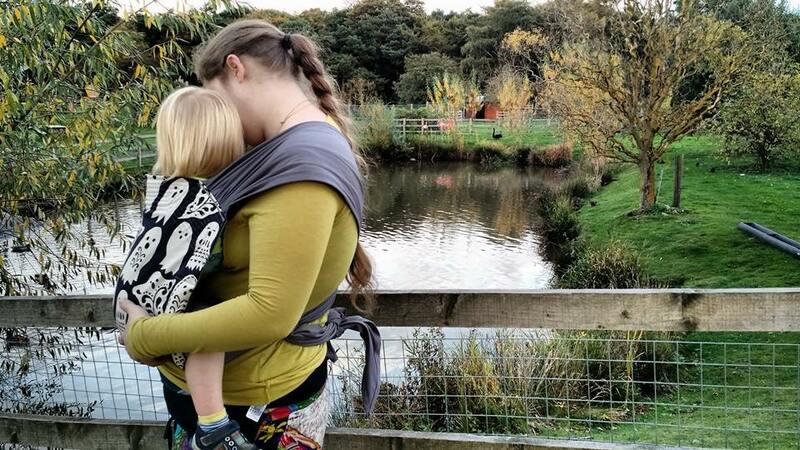 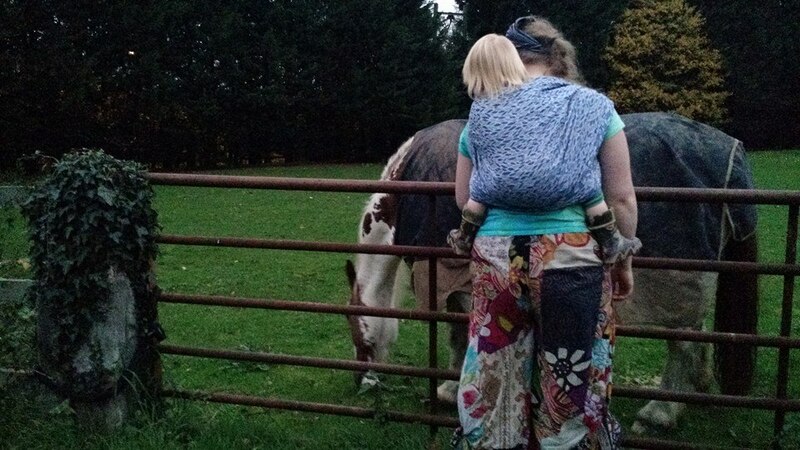 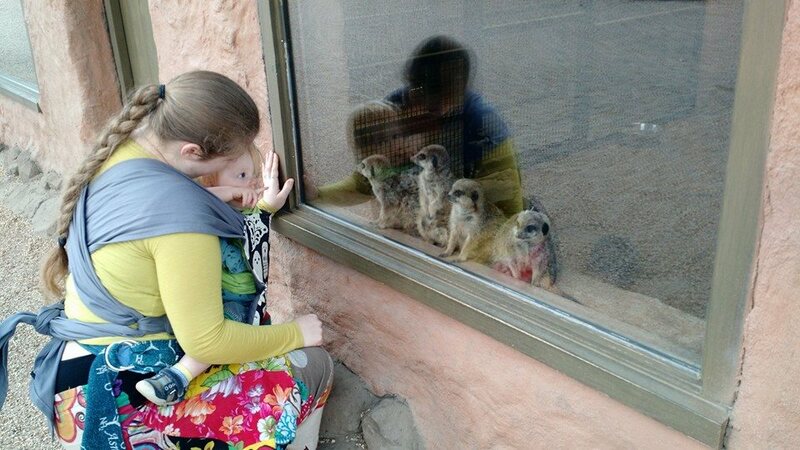 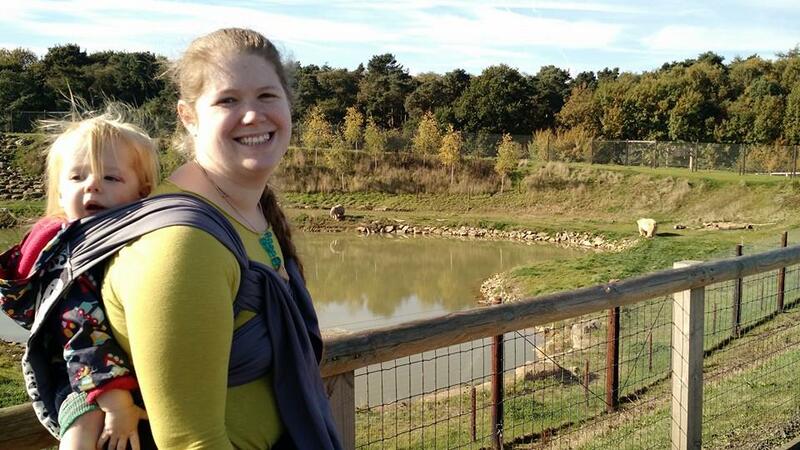 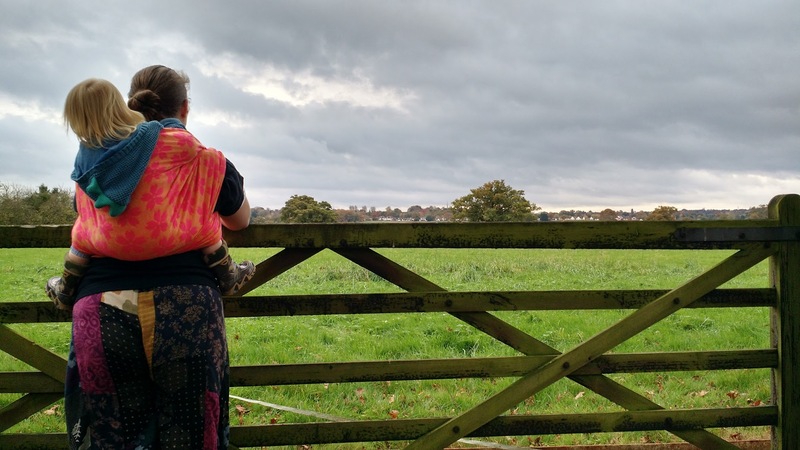 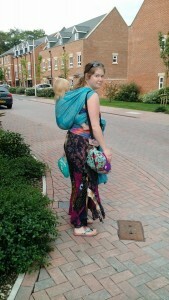 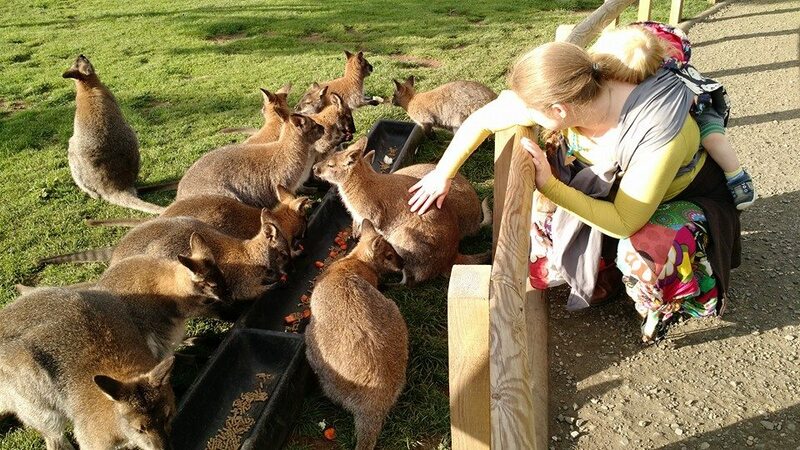 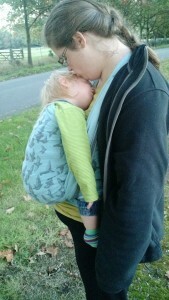 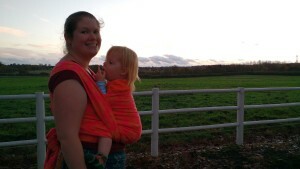 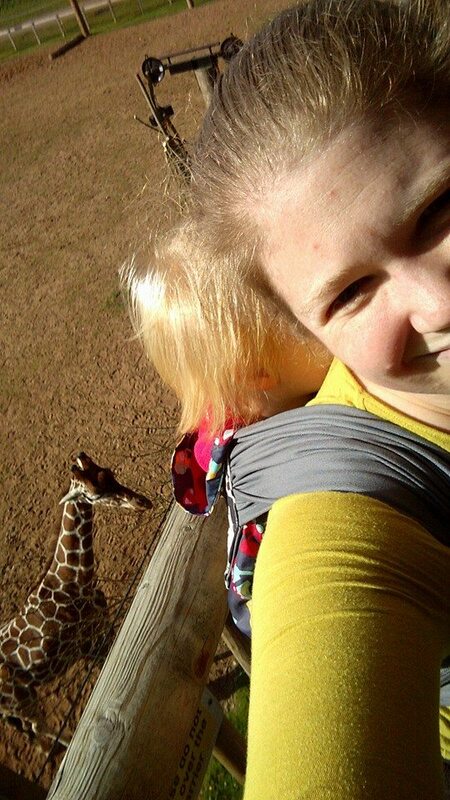 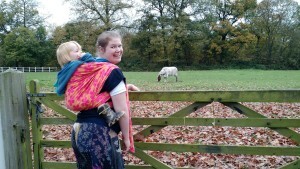 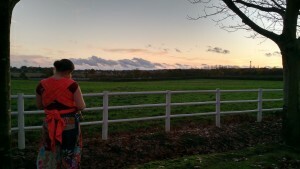 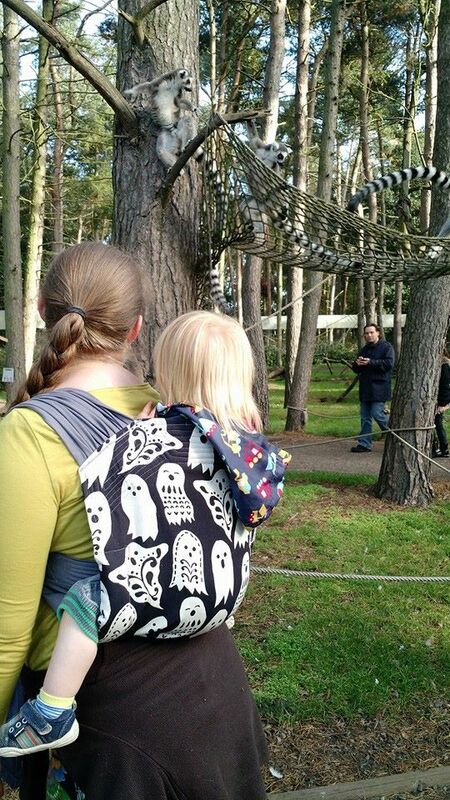 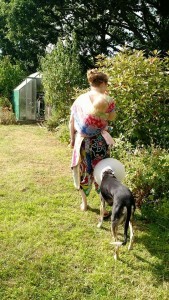 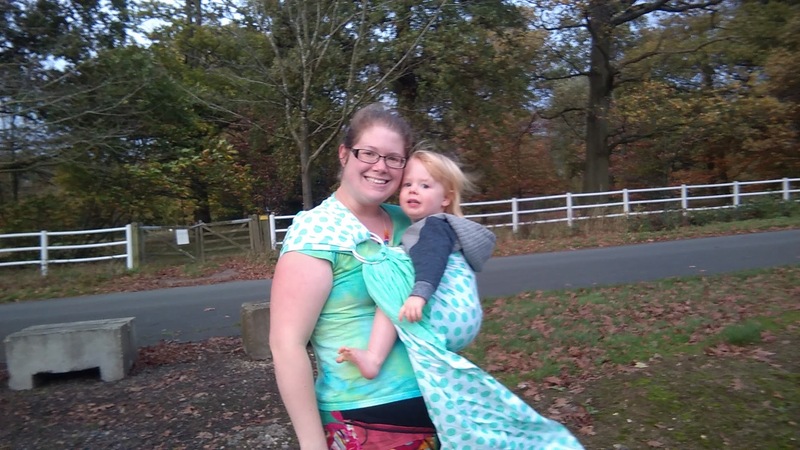 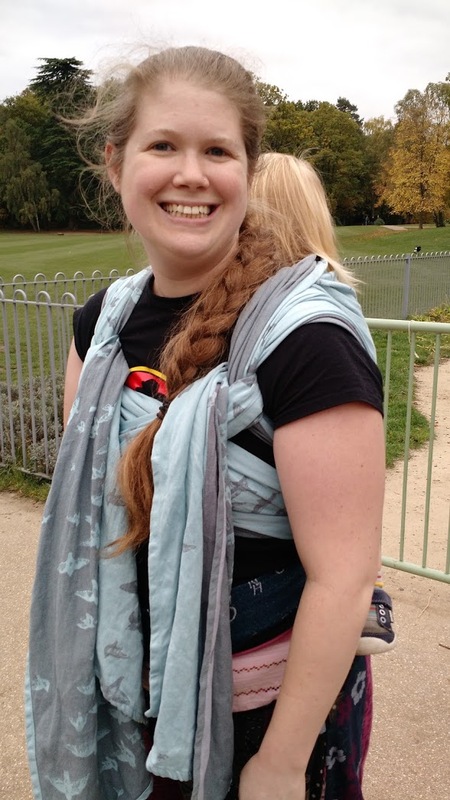 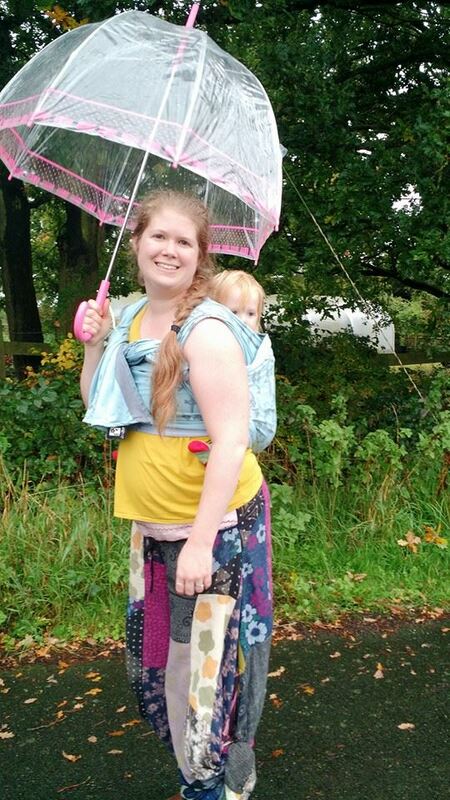 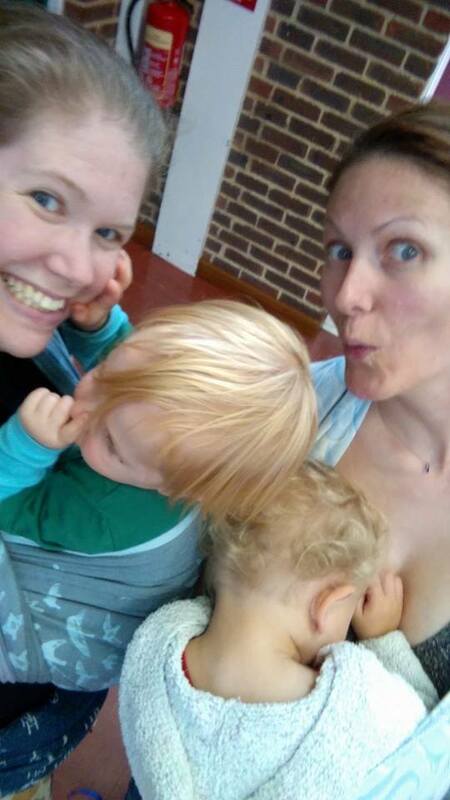 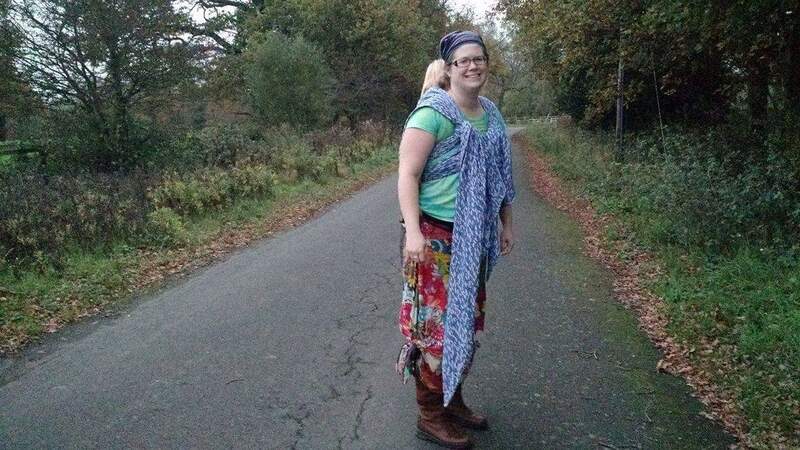 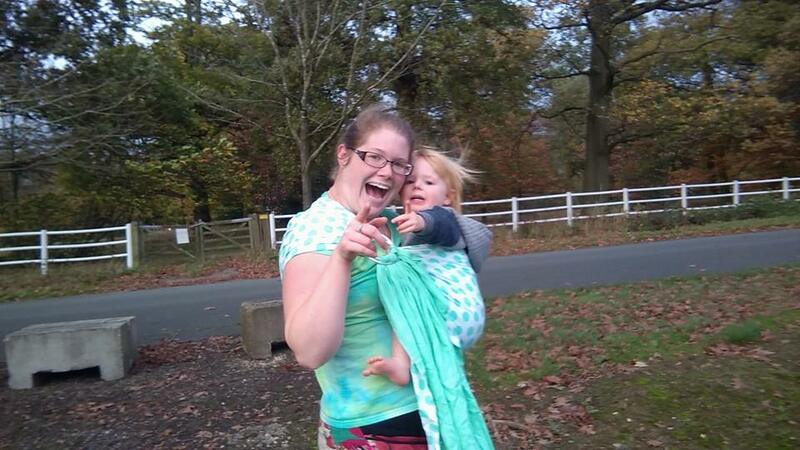 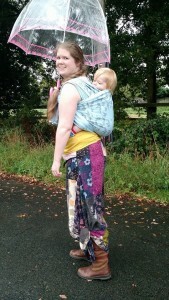 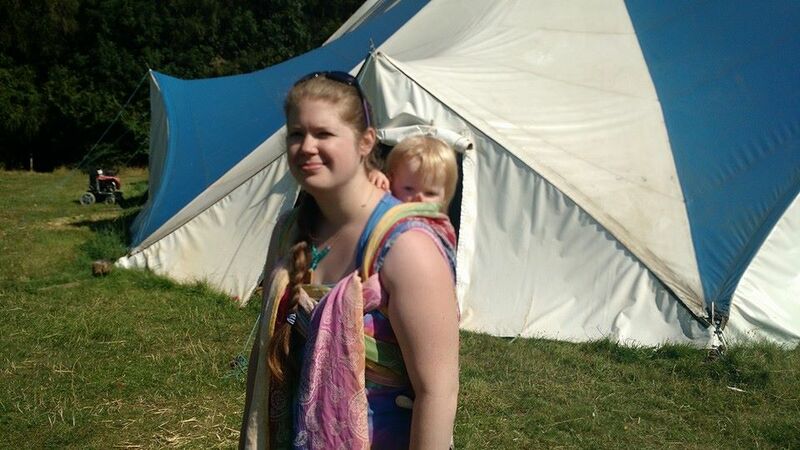 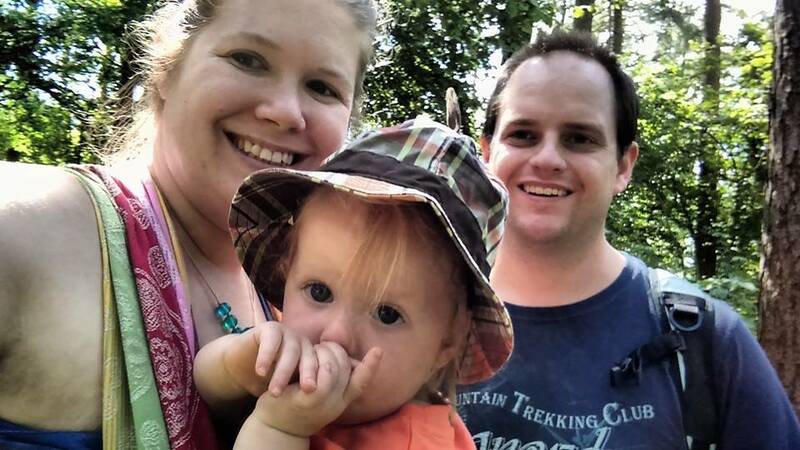 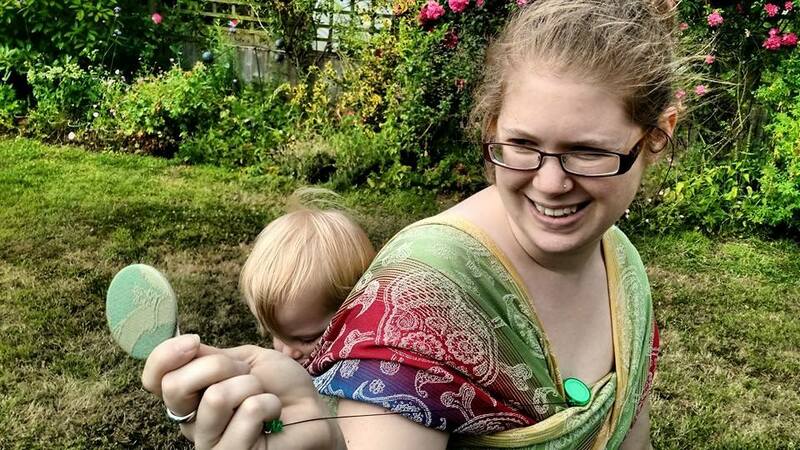 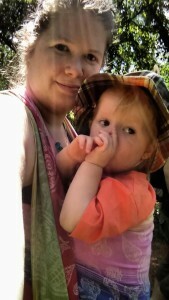 And surely that’s the point of babywearing, to enjoy adventures with your little ones close to you.